When the Sim City games came out back in the 90’s, i was hooked immediately. These were games in which i could build my own cities, and then destroy the whole economy by taking in so many loans that i would eventually be fired from the position of a mayor. I have been away from the gaming scene for many years, mainly due to studies, then i lost interest in games altogether and then it all came back and slowly yet surely i have started to play games once again involved myself with game playing. 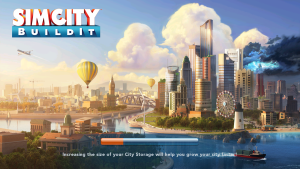 Then a few months ago i wondered if there were any sim city games on Google Play Store, and found a number of games similar to Sim City, and has been developed by Electronic Arts(EA). 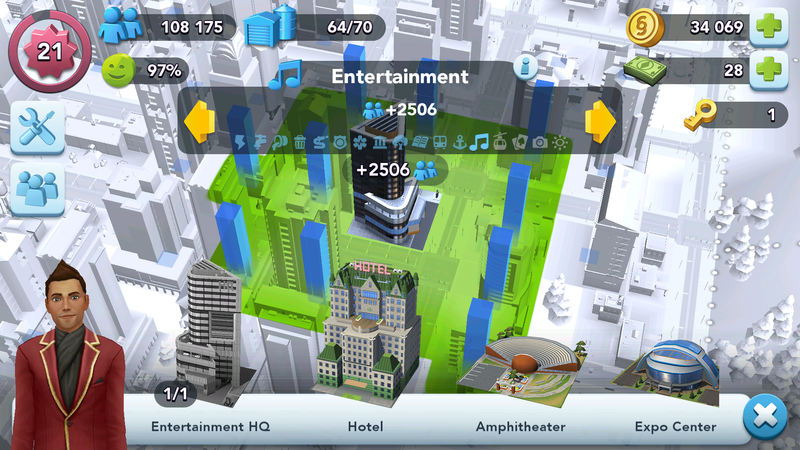 After some searching i found out that the original publisher of Sim City Maxis shut down its doors and the development has been going on at EA since then. It is sad when a legends bow out, but then that is the opportunity for the next generation to take place and build amazing things. 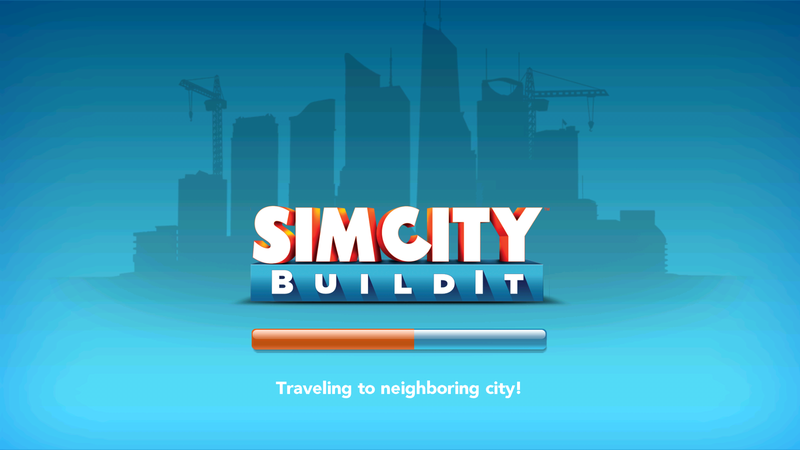 The game goes by the name of Sim City: Build It. 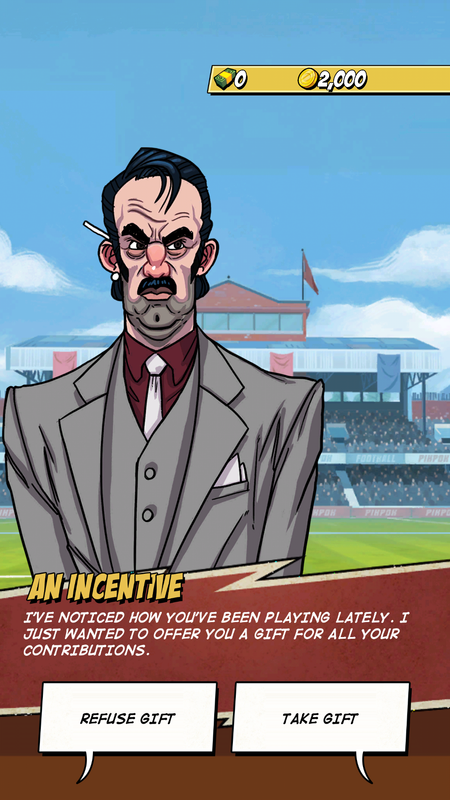 When you start the game, you can immediately notice that this game has been designed specifically for the mobile and it uses the principles of freemium games where you can play a game for free, but you have to pay real money to use certain features of the game. I don’t have any problem with that. 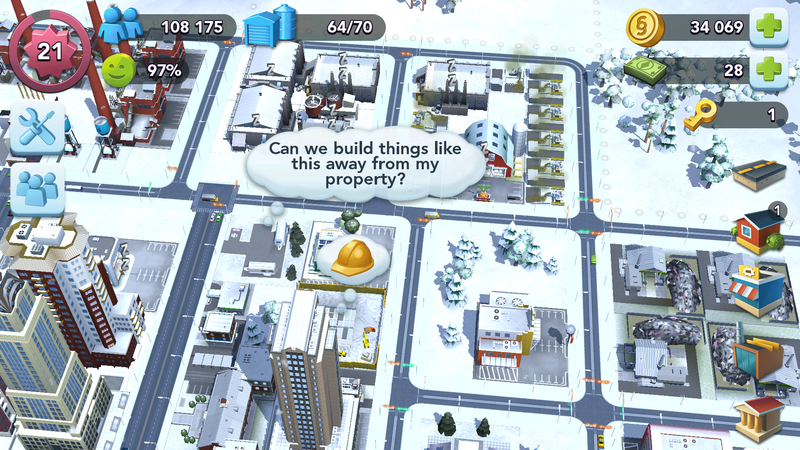 Sim City: Build It Game Review. 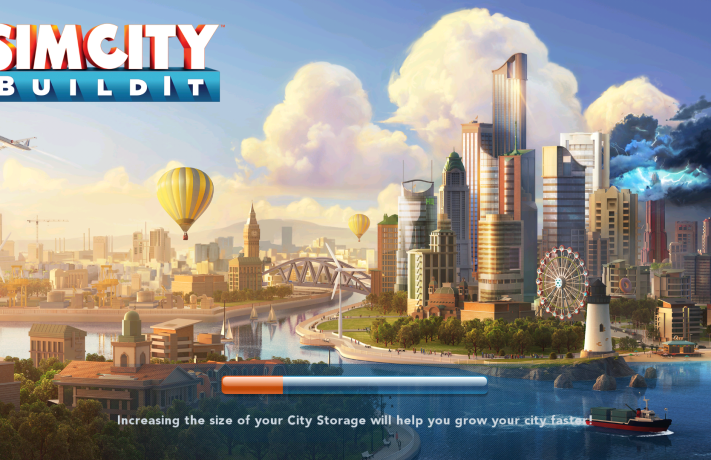 When the games starts up for the first time you are immediately taken to your city where you are given a tutorial on the game’s controls and user interface and step by step instructions are given on how to play the game. I believe this is a good addition and i am glad that many games are including such tutorials on the first start of the game. 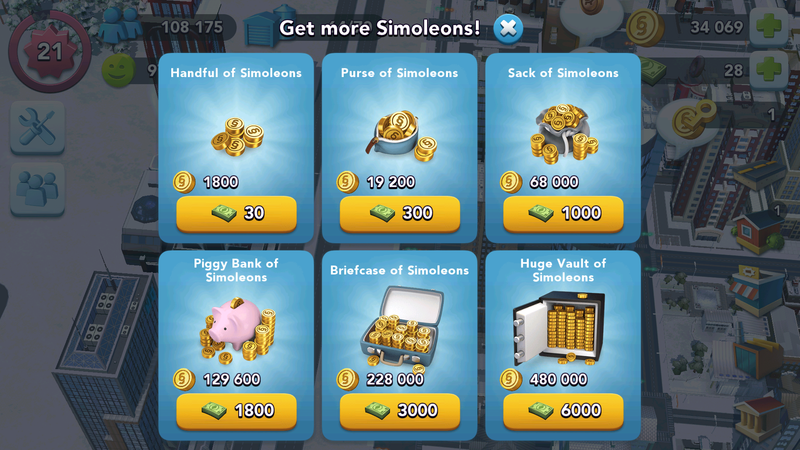 SimCash are more valuable and there are certain events when you are able to win SimCash and are not given out as much as Simoleons are. 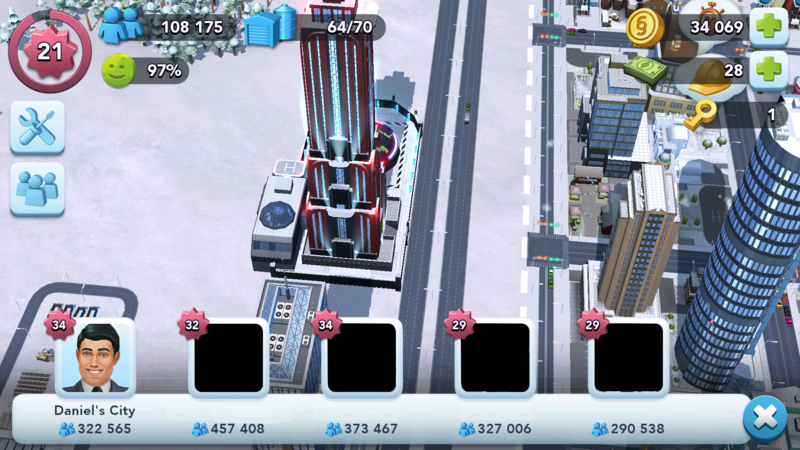 You can also earn SimCash by completing tasks and achievements in the game. 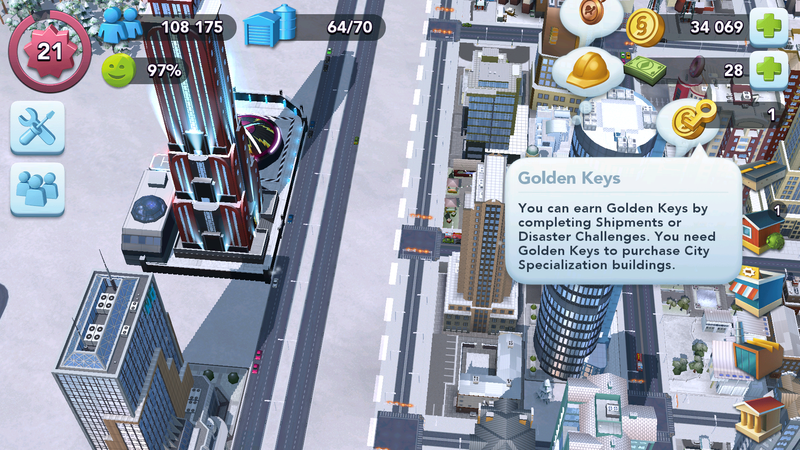 There is a key resource as well which you can earn by completing some extra special missions such as the mission to unleash disasters over your city. I would like to add that there are certain features which i was hoping that would be in this game would be the ability to take out loans. 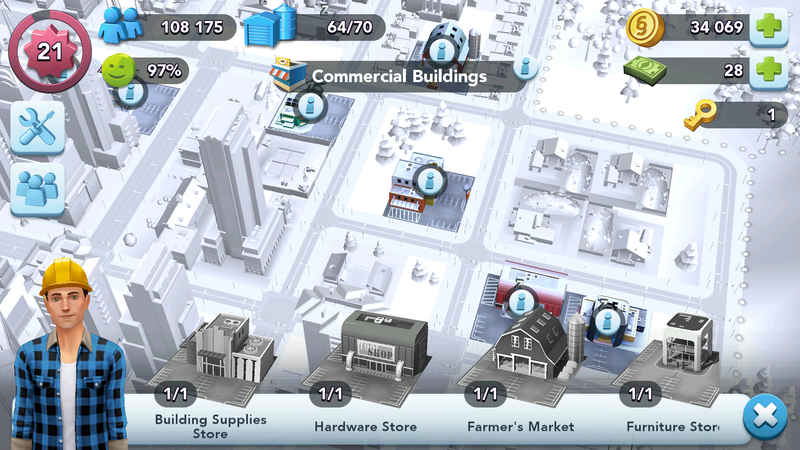 If you may remember in the original sim city games on the desktop you could take out loans to boost your economy. Since i don’t use real money to buy resources to play the game, as i earn money the rate my city is growing at is you can normal. Also my usual session time is usually about five minutes, and then after doing what i can do with my resources which includes time as well, i put down the game and continue doing my other tasks. Basically i play the game through out the day in short bursts. I have been playing the game for a few weeks and i am hooked onto it, but in a different kind of way. In order to upgrade Residence buildings you need to produce goods and items. 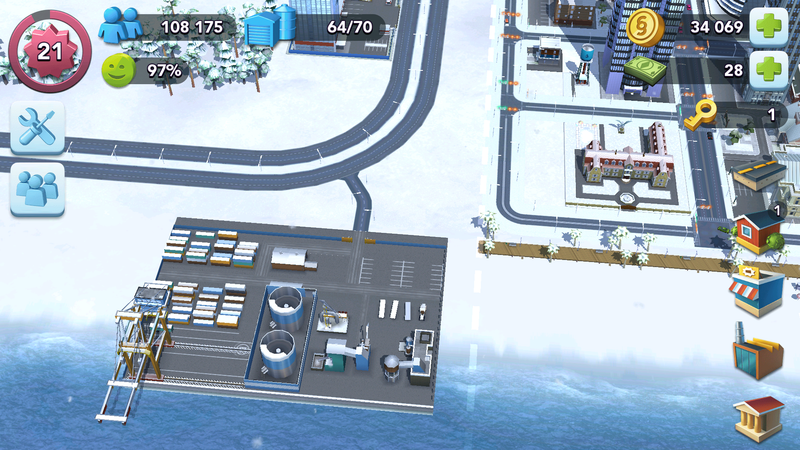 When you have played the game long enough you have to produce items which are dependent on other items, so you go into a cascade of production. 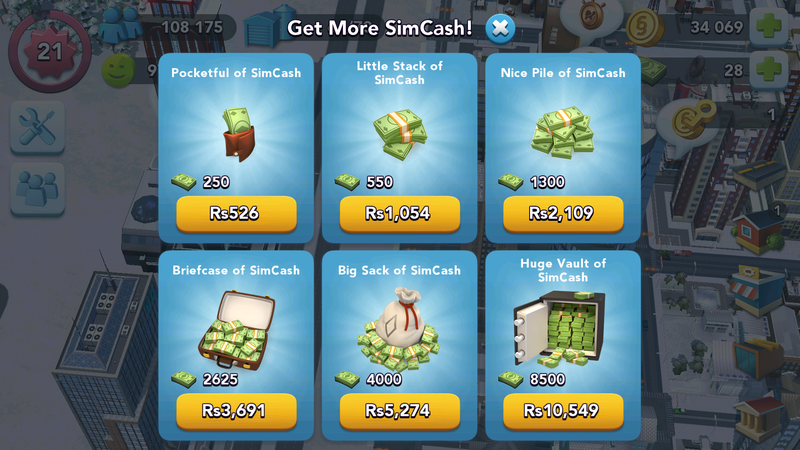 If you are not willing to spend real money to buy SimCash in order to skip the waiting time, you have to wait for a while. In this situation is get back to my tasks and after a few hours i come back to the game and do what i can with the game. 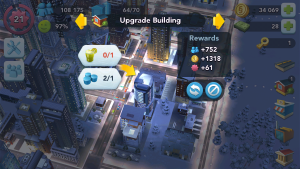 Resources required for upgrading this residence building. The value of the residential buildings will also be relatively lower than other areas. 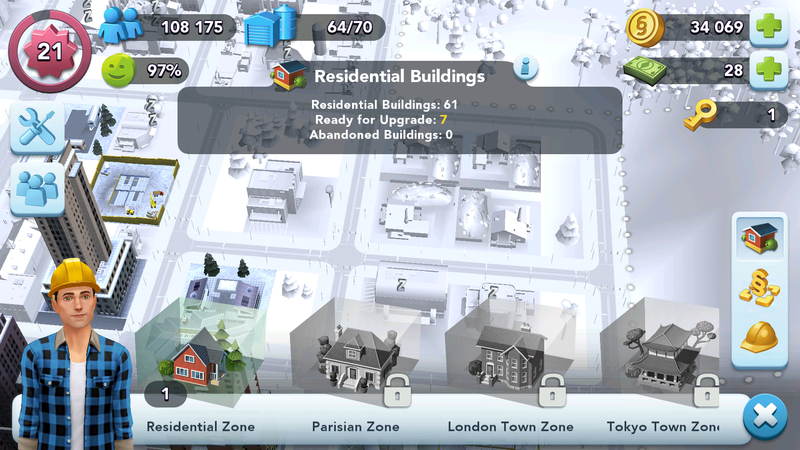 The best location to place the pollution producing buildings is on the outskirts of the city and then as your city grows continue to move them out away from the residences. 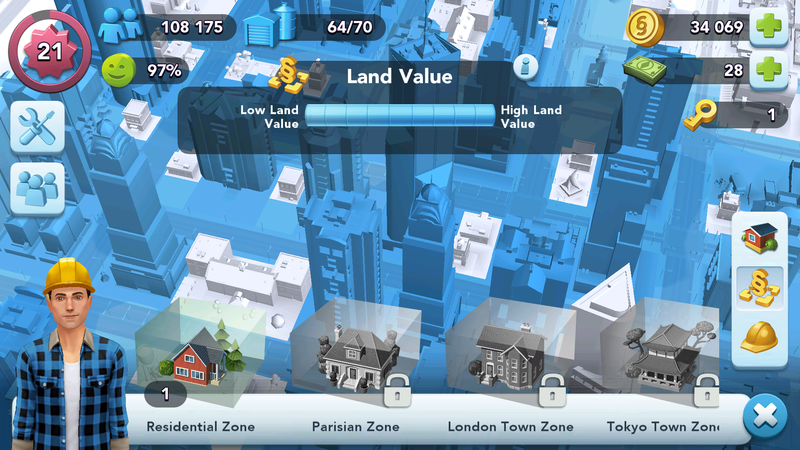 In order to increase the size of your city you have to purchase plots of land. 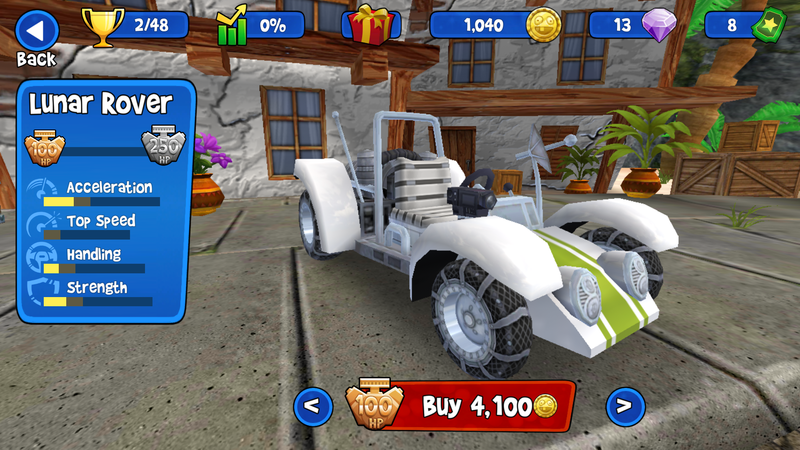 To purchase these you can use special items which citizens give you as gifts. 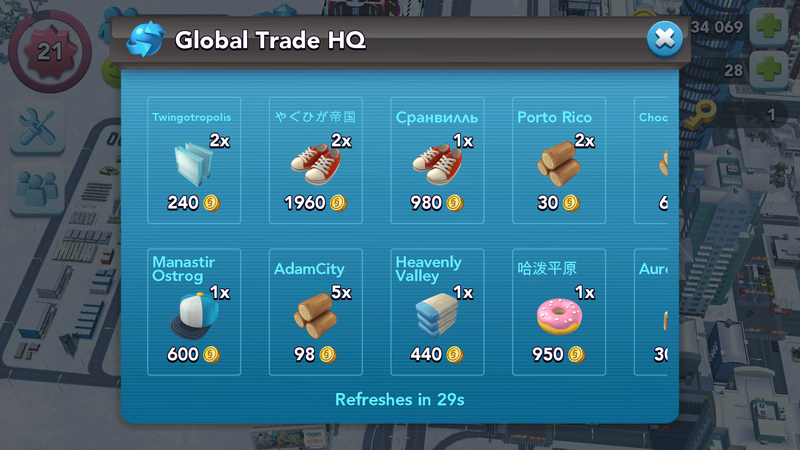 Sometimes you can purchase these from the Global Trade HQ if someone is selling these items, but these are rare items. If you have extra items you can sell them at a good price and make some good Simoleons. Apart from this providing your citizens with services also makes them happy, and makes them want to live in your city else they will move out of your city. 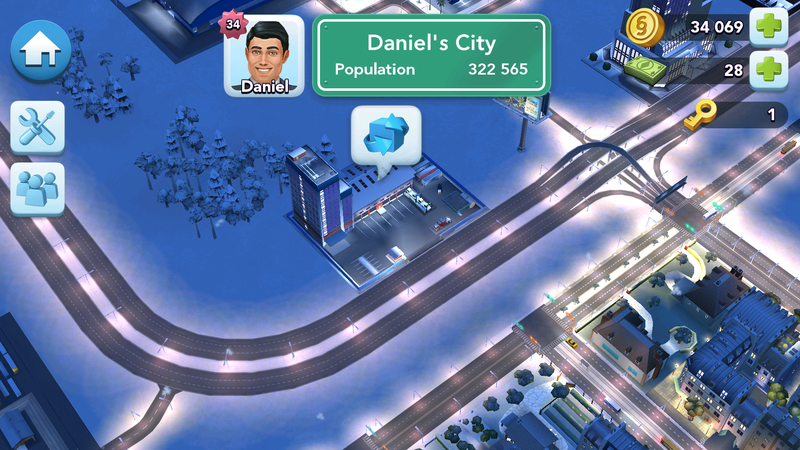 Make sure that your ratings are high so that you get more citizens in your city and as a result more taxes. 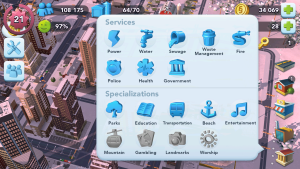 Provide services to your citizens so that they remain happy. This is something which i really like, and something which the social network age has brought in, that is being able to play the game with your friends. 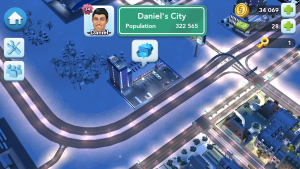 When you play the game you get a default built in neighbor who goes by the name of Daniel, and his city’s name is Daniel’s City, quite original. Buy items from your neighbor. 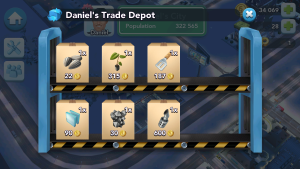 As you play the game you will notice that you can purchase items from Daniel’s Trade Depot (this is the building where you can buy items and goods which Daniel (or your neighbor) has put up for sale. This is a great way to buy items which you need without having to wait for the completion time, depending on if the item is available to purchase. 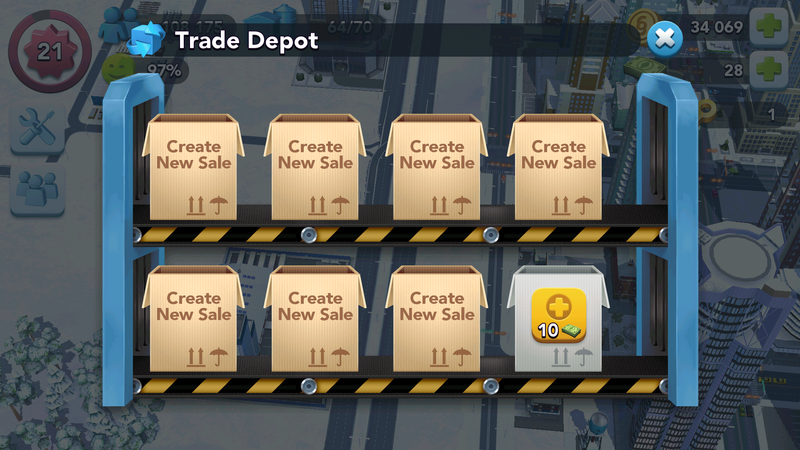 You also have your own Trade Depot where you can sell your surplus items for Simoleons. 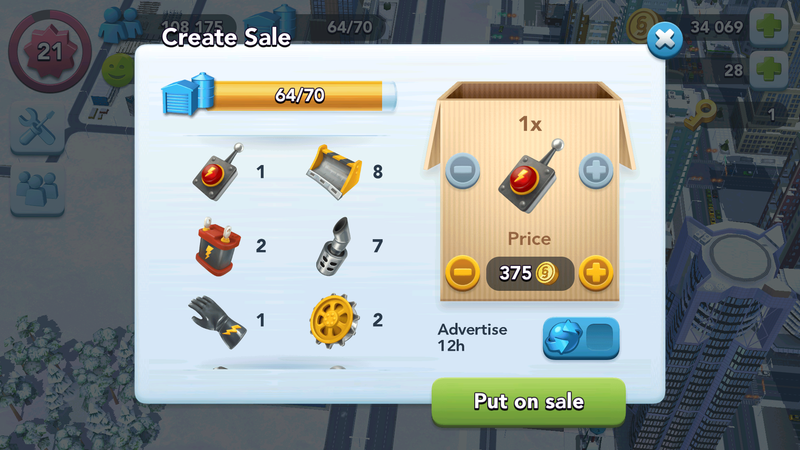 You can set the price you want and the number of items that you want to sell. I highly recommend that you connect your Facebook account to this game. 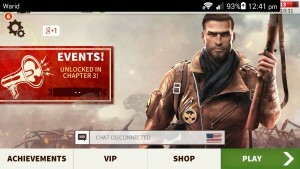 Not only can you then visit and trade with your Facebook friends your game’s state will also be saved to the servers. I learned this the hard way, when i had to hard reset my phone, and due to that most of my apps data had been lost which can not backed up unless the game backs up the data. 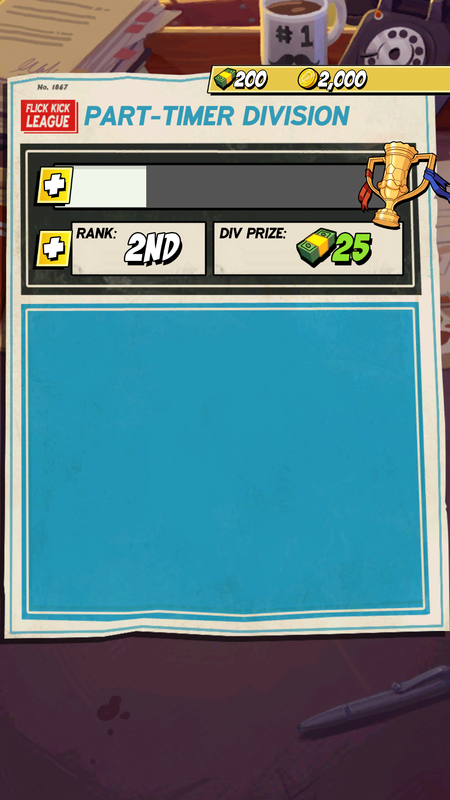 When i played the game again i saw a blank canvas, and when i connected my Facebook account i was pleased to find out that my game had been saved and i could restore my last played state. Add new items to sell. 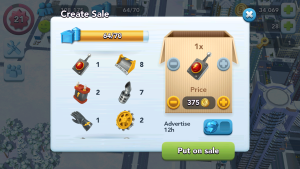 Select and price an item to sell. 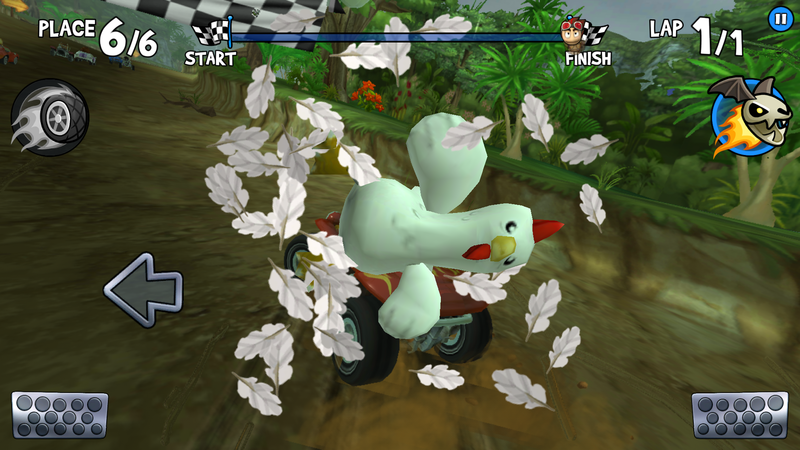 This particular type of a game does not have a difficulty. 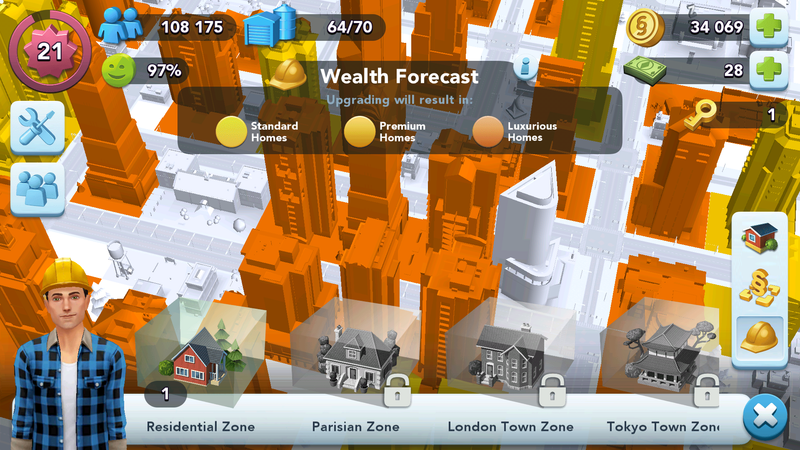 Since it is a simulation game you do not have an adversary, however as you progress in the game the difficulty to grow and manage your city increases. 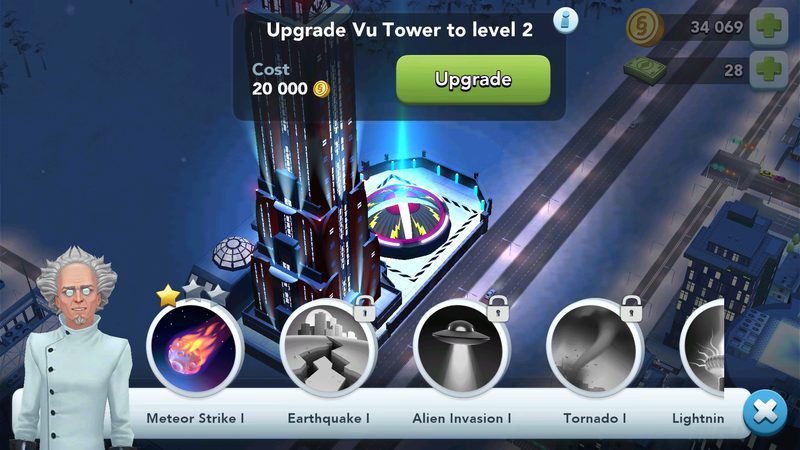 You have to spend more resources and the time required to upgrade residence buildings increases as the game progresses. There are many other features in this game, and it would take a much longer article to explain them all. 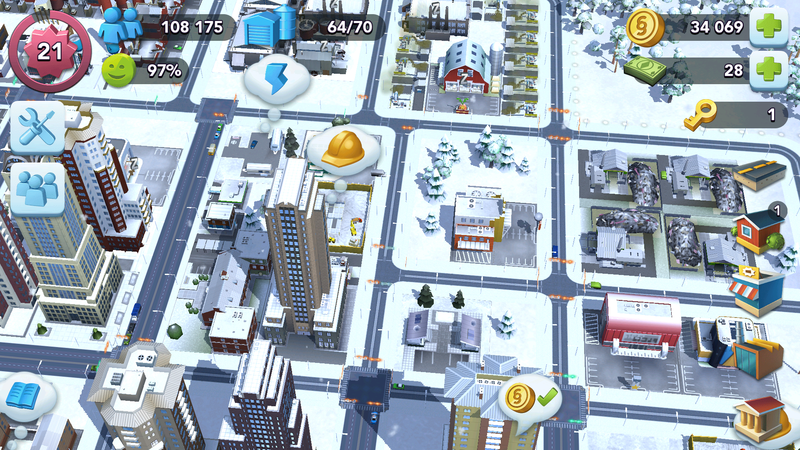 As mentioned earlier i have been playing Sim City: Build It for a few months and have not found any glaring bugs or issues. 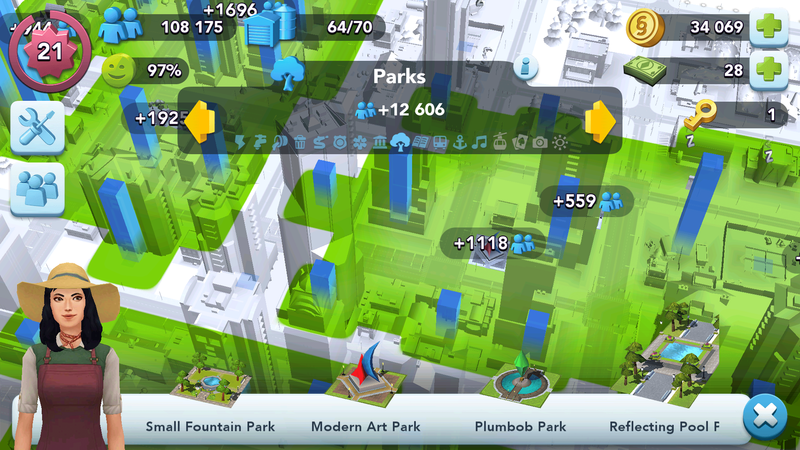 I would have liked that the game be made paid game and the game be like the old Sim City, but then what more can you ask. 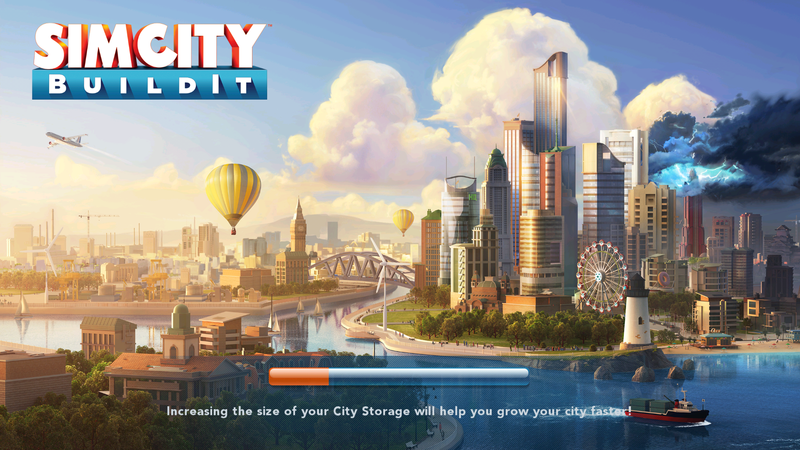 If i want to play the desktop version of Sim City i can buy the latest version of the game from Origin Electronic Arts(which i did by the way). I am pretty happy with this game and i don’t see myself abandoning it any time soon. 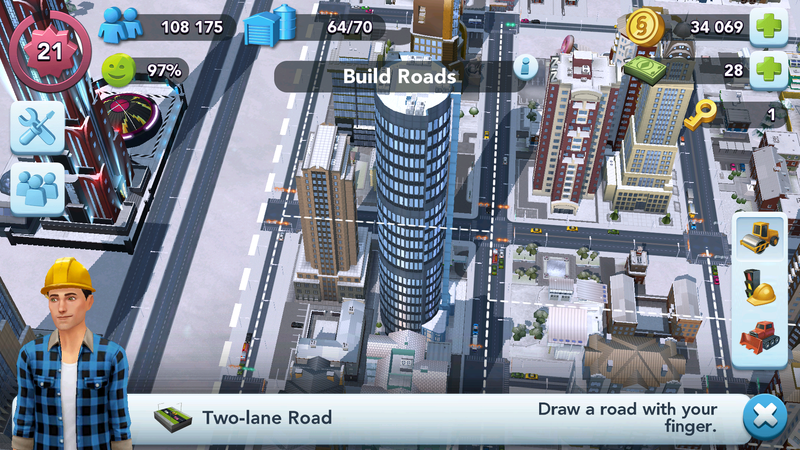 If you fancy city simulation games, and want a game while you are on the go then i recommend Sim City: Build It. 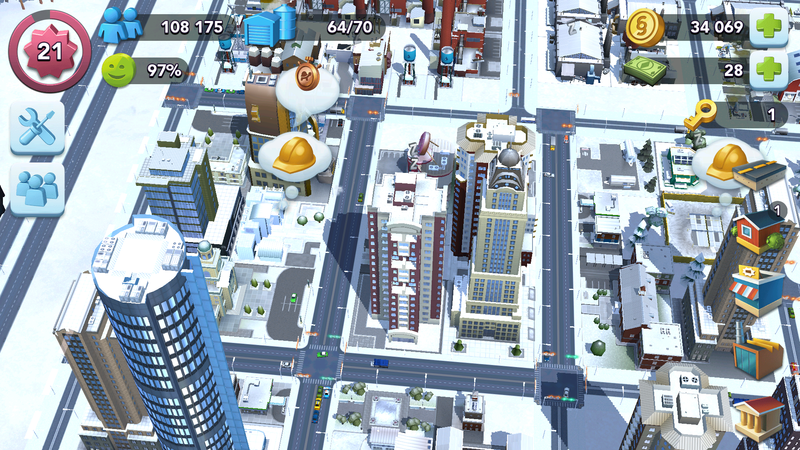 This is as close as it gets to the original city simulation games on mobile devices. 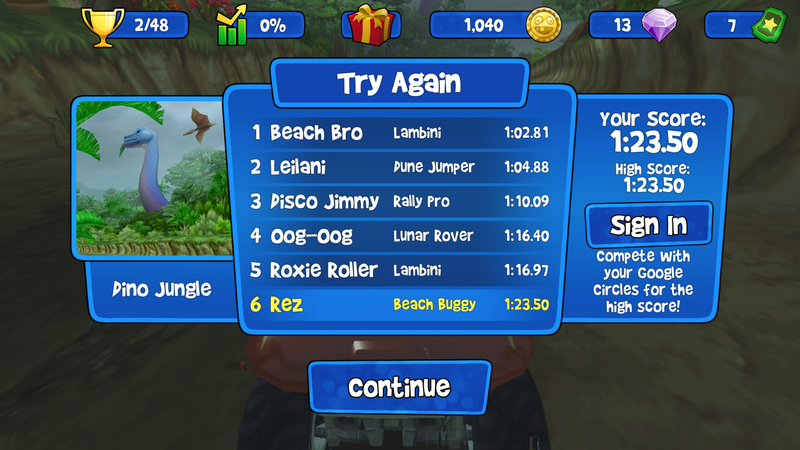 that much, until I saw Beach Buggy Racing. 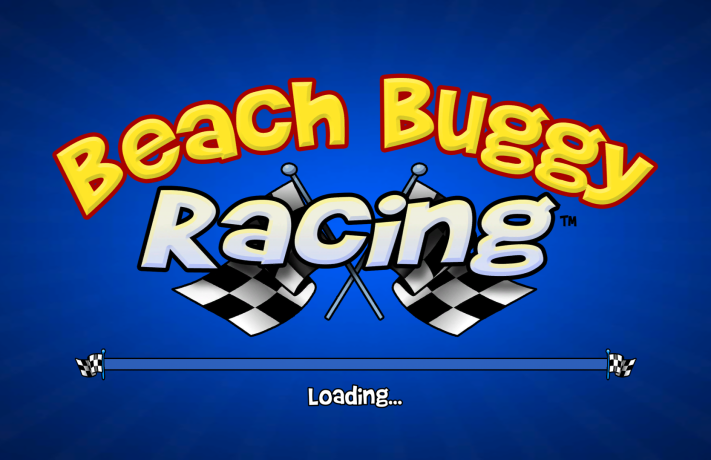 I like racing games, but i just don’t want plain racing games. They should have some obstacles to maneuver around or weapons to fire at your enemies. 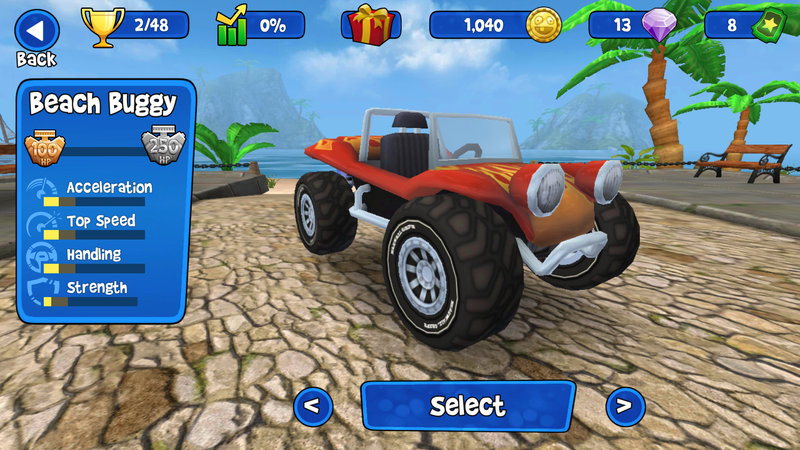 In Beach Buggy racing I got all that. 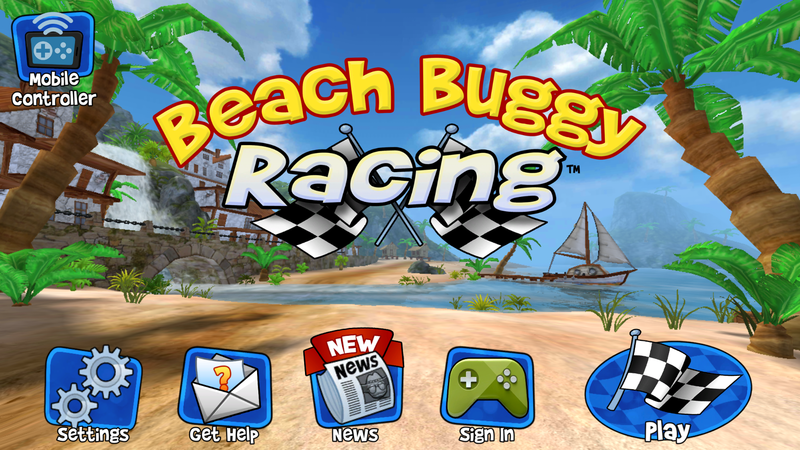 Beach Buggy Racing is an arcade racing game. You will need tickets to race in championship and career mode. A total of 8 tickets are available and each ticket is generated in around 15 minutes. For each race win you will get one 1 ticket and gems. The cars have further been divided into the power that they posses. You will initially start with a 100cc car then a 250cc, 500cc and so on. The cars can be purchased by using coins but the drivers are unlocked when you beat them in the career mode. tickets. You will have to pay $4.99 to unlock this mode. 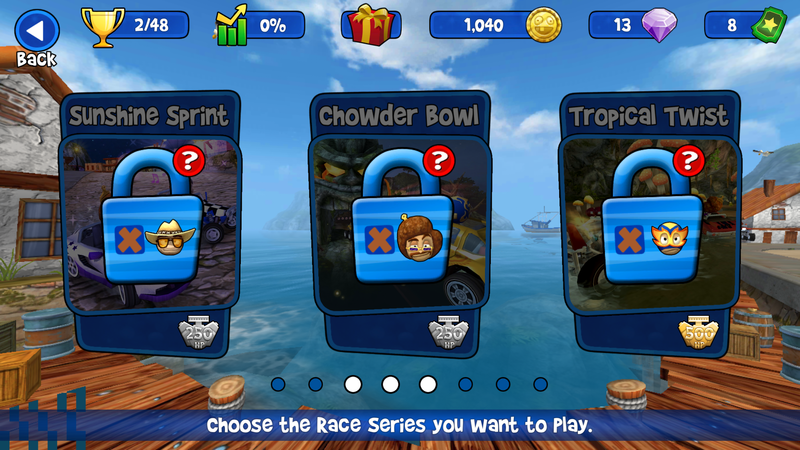 In Quick Race you have four options. Race with 100cc, 250cc, 500cc or 1000cc car. You will have to have 250cc, 500cc or 1000cc car to race in those events. 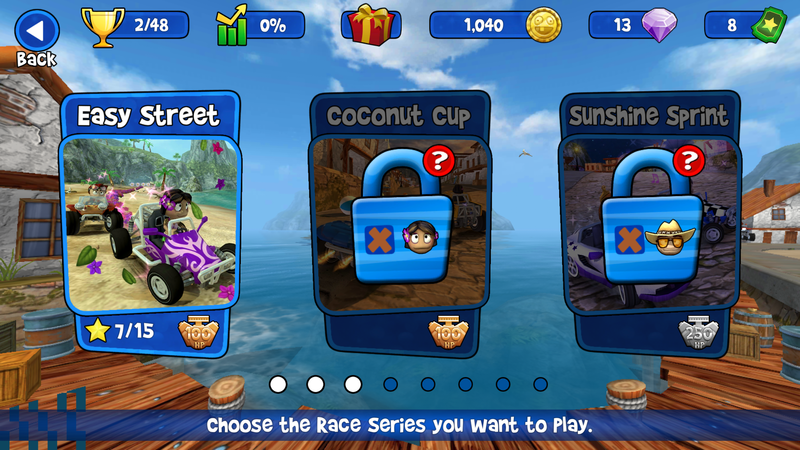 In this mode tickets are not required to race but if you win you will get coins and one ticket. 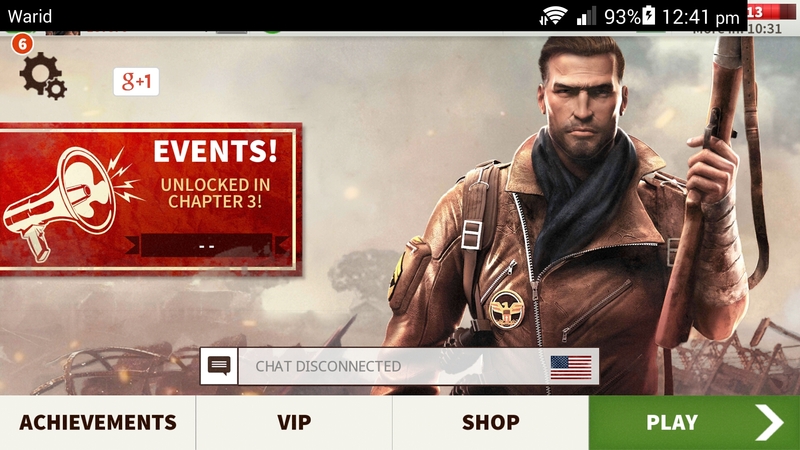 This is good way to get tickets and earn money when you are stuck in the career mode. need tickets to race in this event. In 100cc there are four races, in 250cc there are 6 races, in 500cc there are 8 races and in 1000cc there are 10 races. After all the races if you have the most points then you will win the championship and get coins and gems. You will get stars in champions. 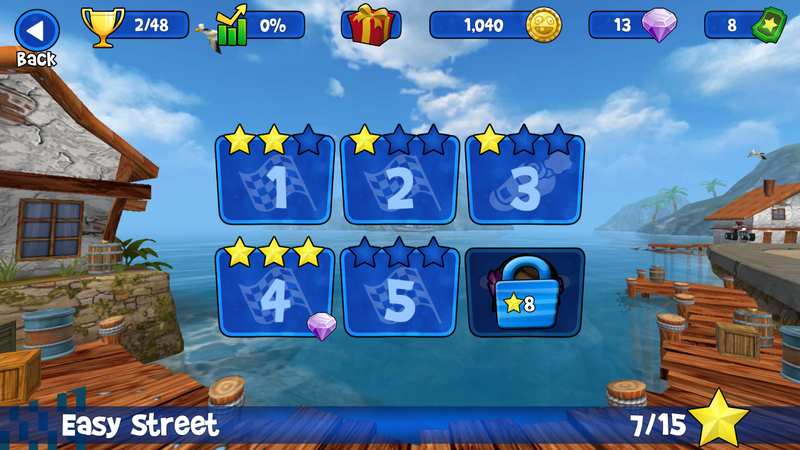 If you win then you will get 3 stars, second place holder will get 2 stars and third will get 1 star. Championships can be repeated to earn money but are only awarded for the first time. In career mode there are 7 series. Once again you will need tickets to race in these events. Each series has multiple events. 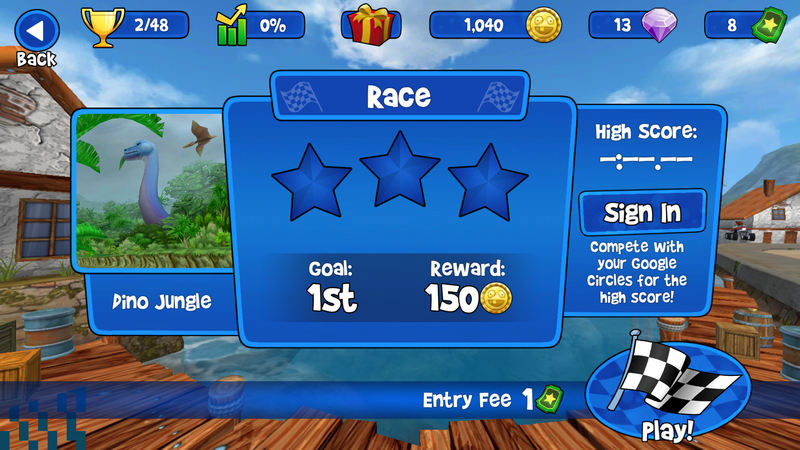 You will get 3 stars if you win a race. 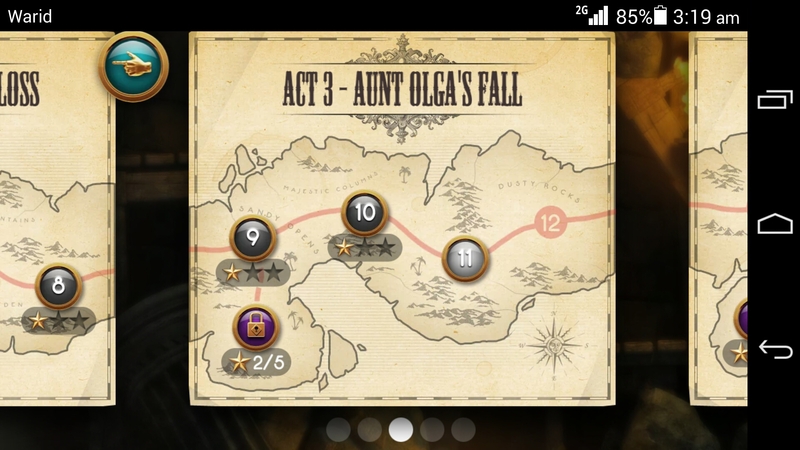 Stars are required to unlock next events. At the end of the series you have to beat a driver to unlock new series. 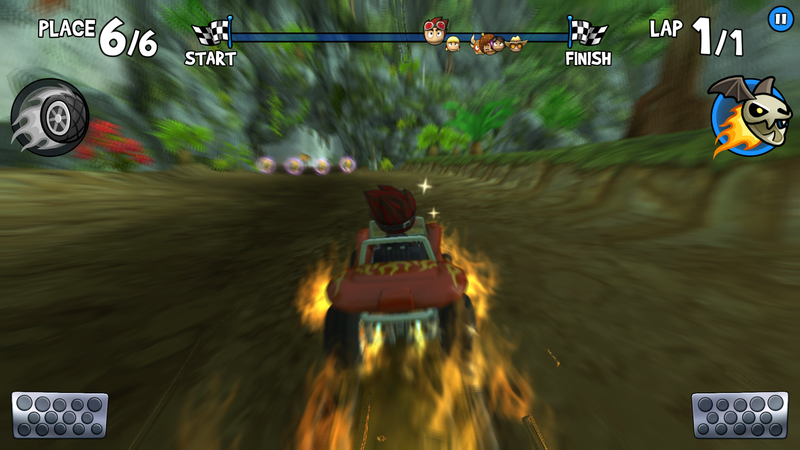 During races you will get powers and each has its own usage which is very useful during the race. 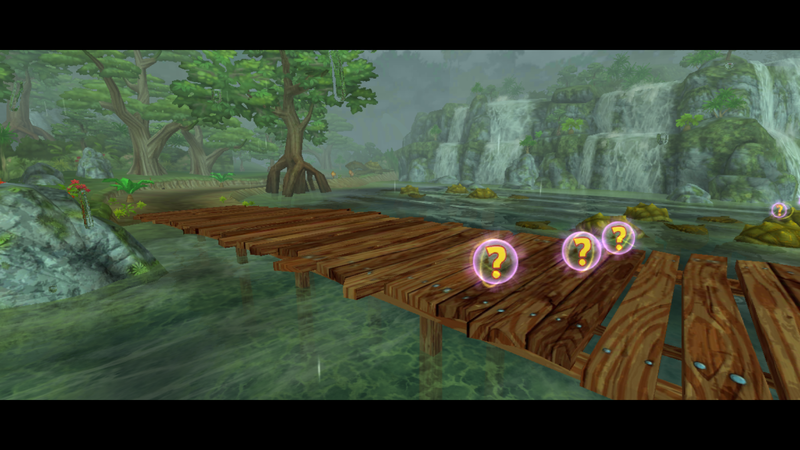 You will encounter four types of races in these event. 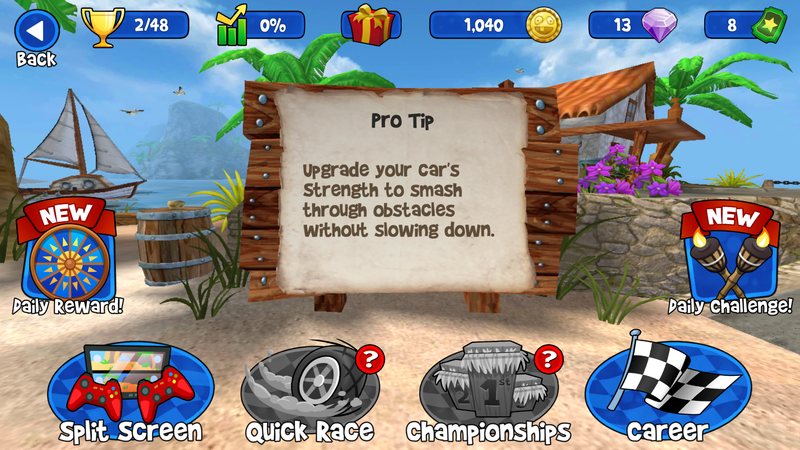 First is basic racing in which you to beat your opponents in 2 laps. Second is time attack, in this race in about every 10-15s the driver in last position is eliminated. 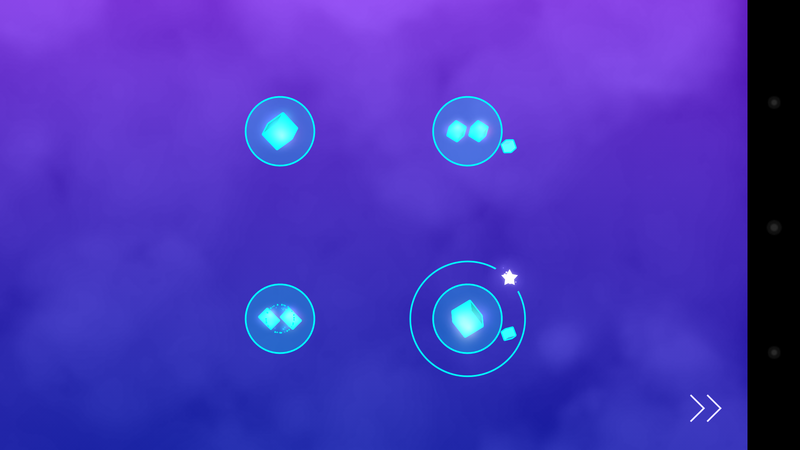 Third is shooting gallery, in this you will have shoot rockets at cars or targets to get points and achieve the required points to get the stars. 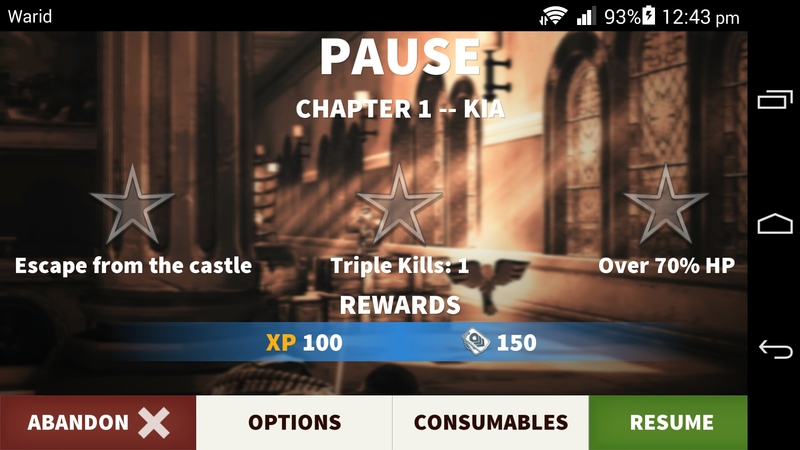 You will have one minute to complete the points. Fourth is stampede, you will use angry bull power to smash everything in your path, same as shooting gallery you have to get points by hitting cars or targets. This game is as perfect as it can be, but i do have one issue with it. Strength is useless in this game. 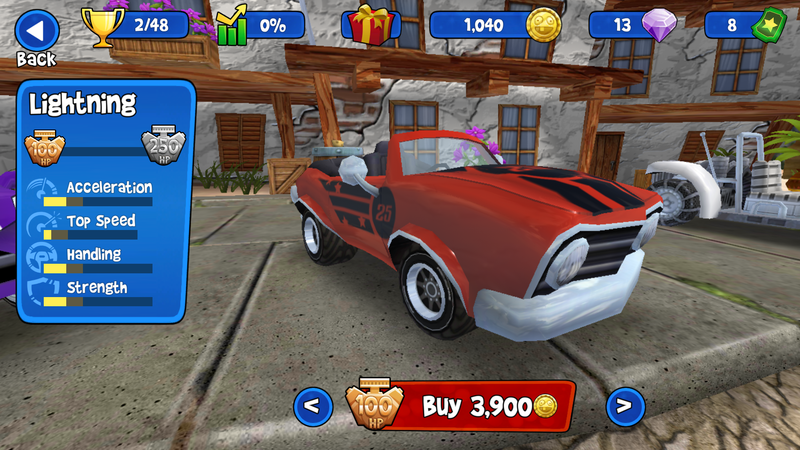 No matter how much you upgrade your car will be destroyed when powers like rocket, angry bull or any other powers like these are used on you by the enemies. 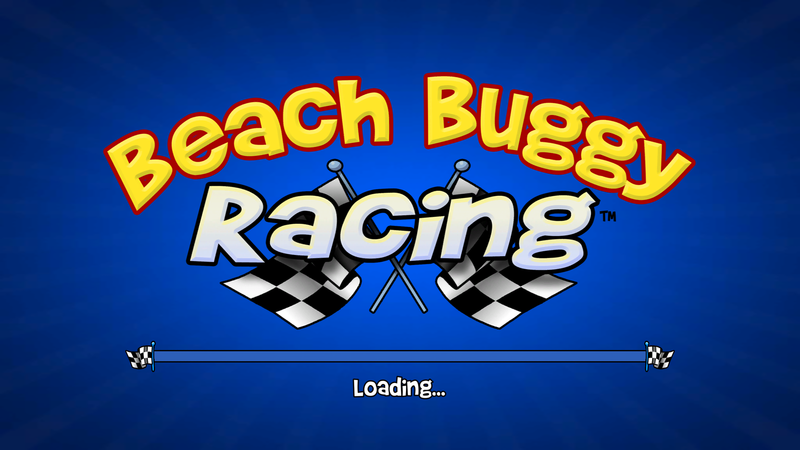 I really enjoyed playing Beach Buggy Racing and it is very addicting, and i do not want to put down my device at all. I highly recommend for those who want to have a fun time. As you may have noticed i really like to play puzzle games. Once such game which i found goes by the name of Transmission. 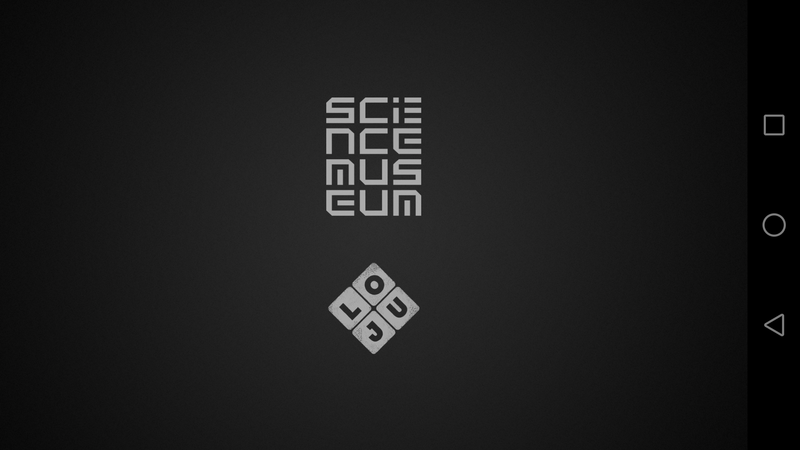 Transmission has been built by the Science Museum and we can see that they have made more games which revolve around science and technology aiming to teach about them. The game’s main aim is to create networks and to connect nodes to send information from one node to the next. 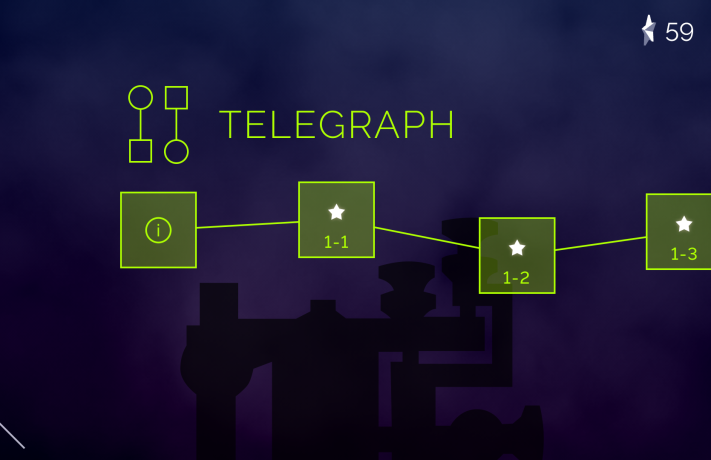 The game starts from the technology of olden times, the telegraph, then goes to the telephone, satellite and the next gen communication networks. 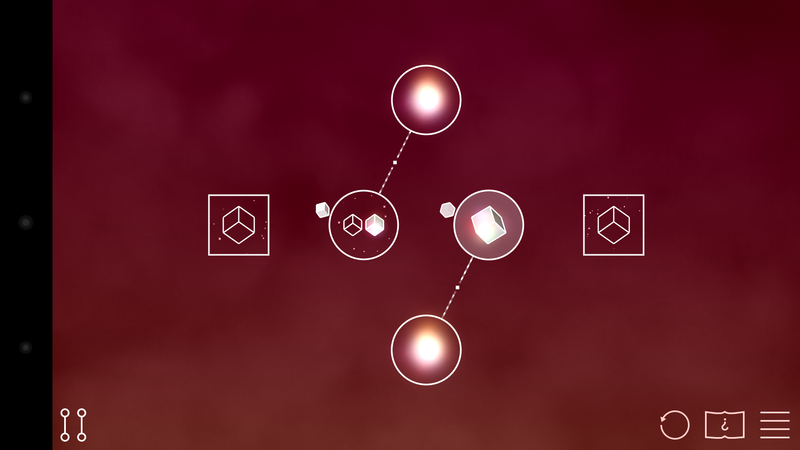 The player has to find ways to connect all of the nodes to form a network. 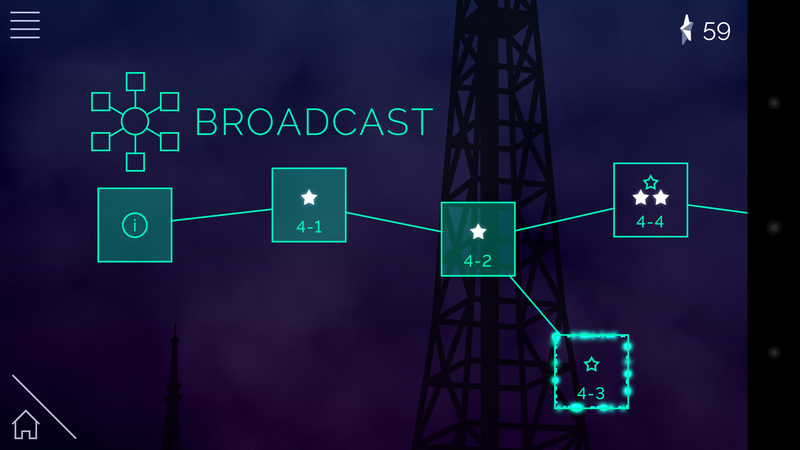 There are bonus objectives which further restrict how the player can create the network, but completing them gives the player more points(stars in this game’s case). 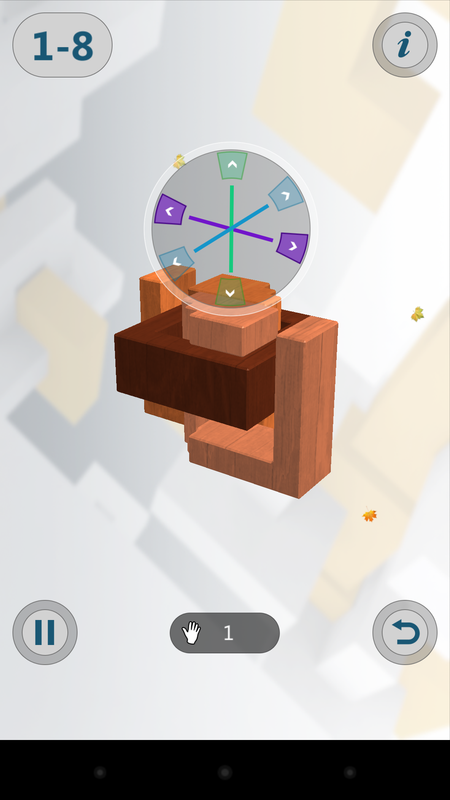 Like all puzzle games the player has to think ahead on how to solve the puzzle. 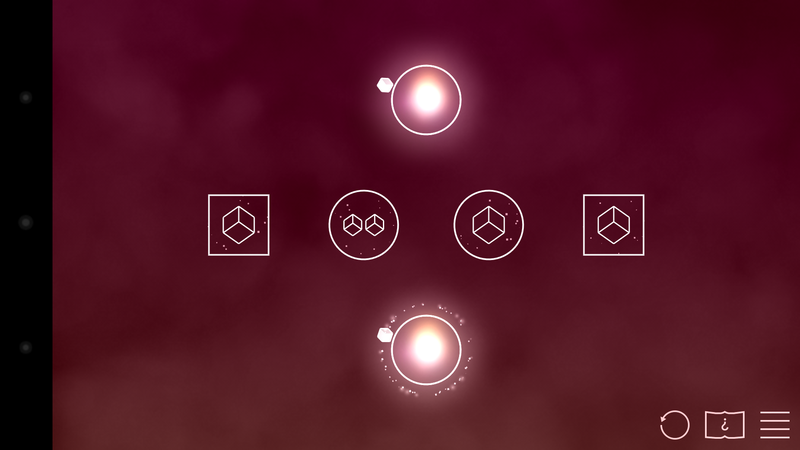 Visualization is the skill which is needed for this game, being able to visualize what the next move will be and what the resulting state of the game will be. 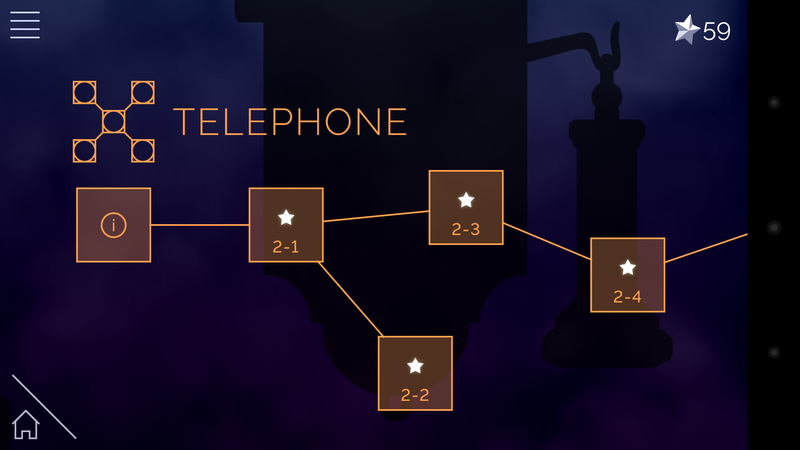 What i like about this game is how seamlessly it has designed and linked with communication technologies. 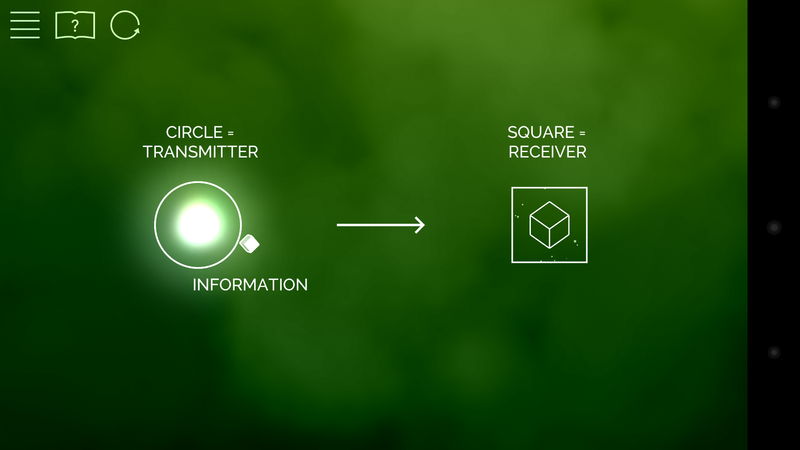 Nodes can be of different types, those which either send or receive information and also can broadcast to other nodes at the same time. 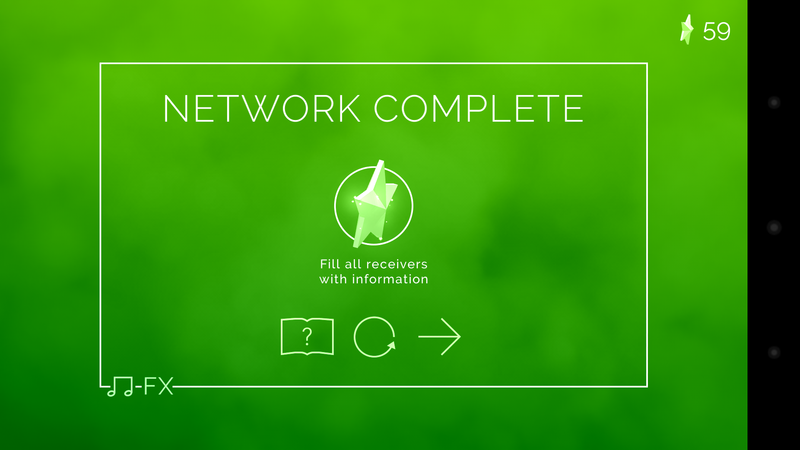 It is quite interesting to see how all these components work together to form networks. One also realizes how amazing technology really is. 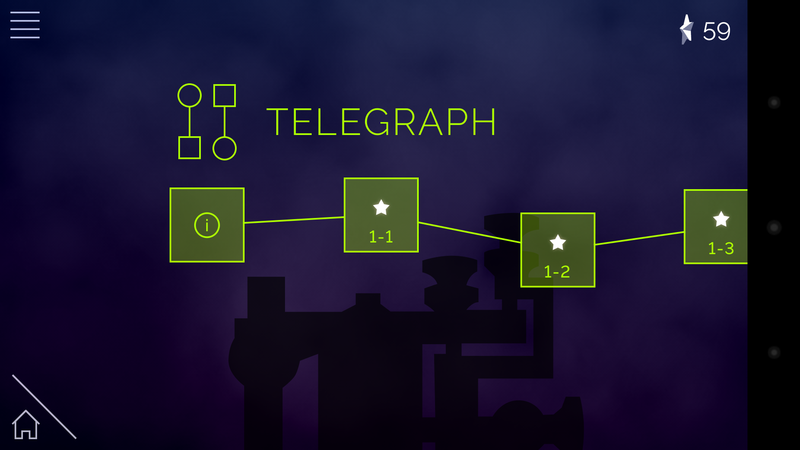 Even though the game is an abstract version of what networks really are, but Transmission still gives an idea of how hard it is to create networks so that optimum paths are made. 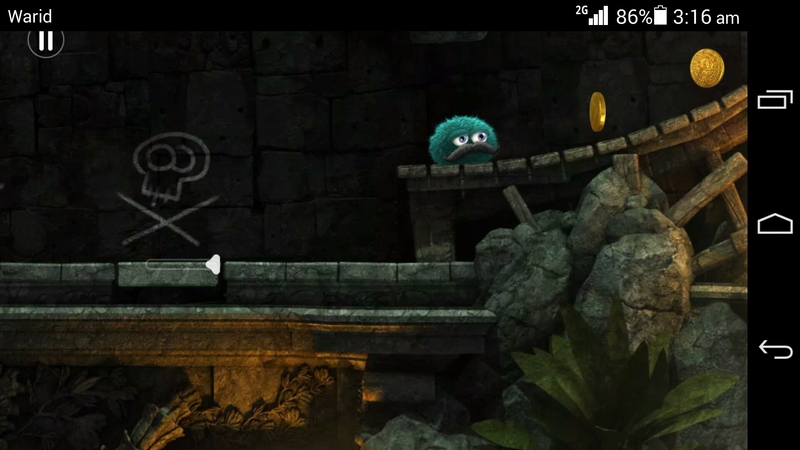 The art is simple and professionally made, with the smooth soothing music playing in the background do not distract the player from the game. I really liked playing Transmission, i will surely be playing more games from Science Museum and may even write a review on them. I highly recommend this game for all. If you remember there used to be 3D puzzles which you used to play when your were a little child. You had to put blocks of certain sizes and shapes into their corresponding receiving holes, or the ones in which you had to free the blocks from one another. Now you can face the same anxiety of failure and despair when you could not solve the puzzle. 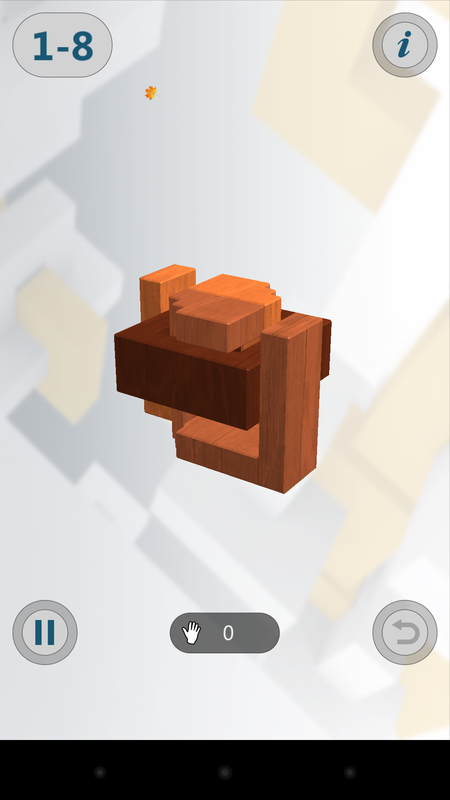 Interlocked Game is a 3D puzzle game which is available on Android in which the player has to solve puzzles and beat the level. The number of moves and the time that you take to solve the puzzle are tracked and you get a score based on the combination of these. What i really like about this game is that since it is a 3D game, i can move the puzzle around, and see it from all angles as if i am solving a real puzzle in my hands. 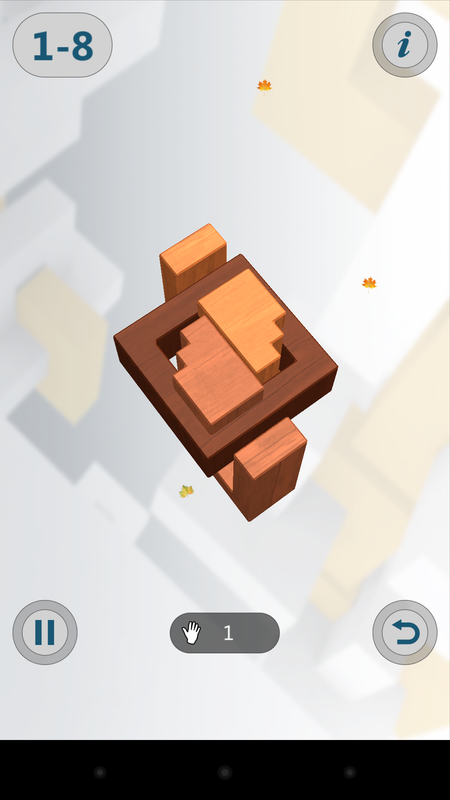 There is also a walk through, but the game sometimes, asks you to watch a video before showing you the walk through, while at other times it gives tips to how to begin solving the puzzle. I think this is fine, and not a problem. 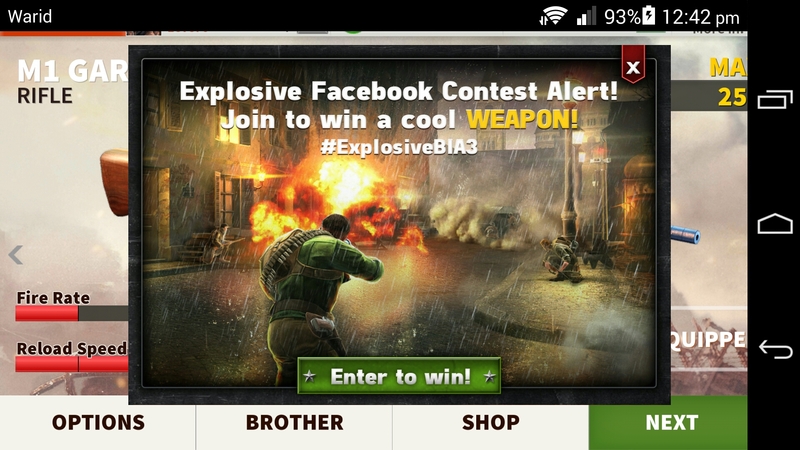 I did not get bombarded by in game Ads like other games show at the wrong moments in time. 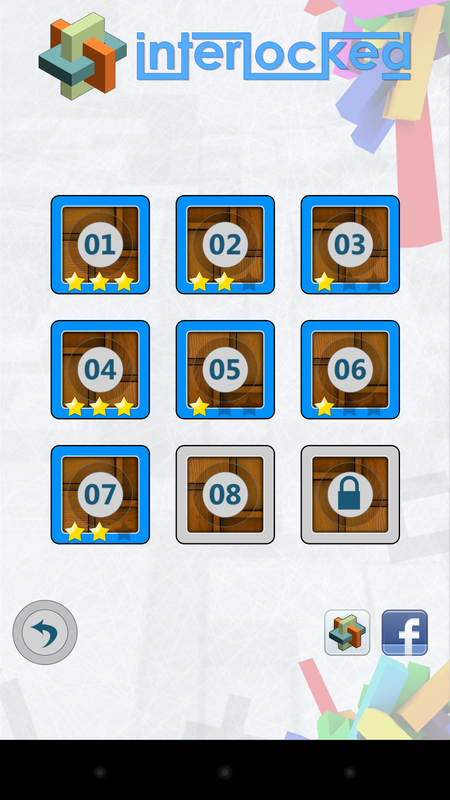 Apart from there being different levels, there are puzzle blocks of different materials which you can play with, but they have to be unlocked first. 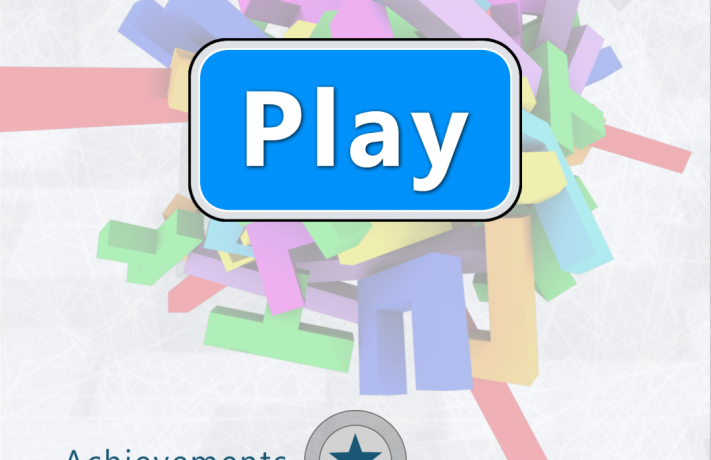 When you first play the game, you have wooden blocks to play with. 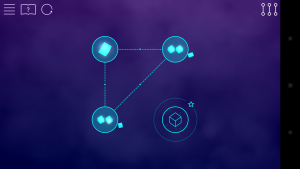 I did not find any glaring problem in Interlocked, and i believe it has been built with quality and giving the player a great time in mind. If you want to have a great time solving puzzles like you used to when you were young, then this game is definitely for you. You might even get smarter in the process. 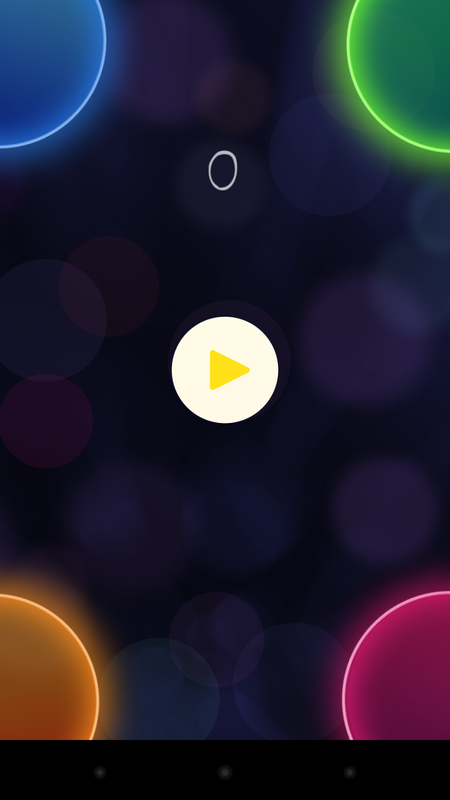 If you fancy testing your reflexes, then i have the perfect game for you, Ballz Eye. 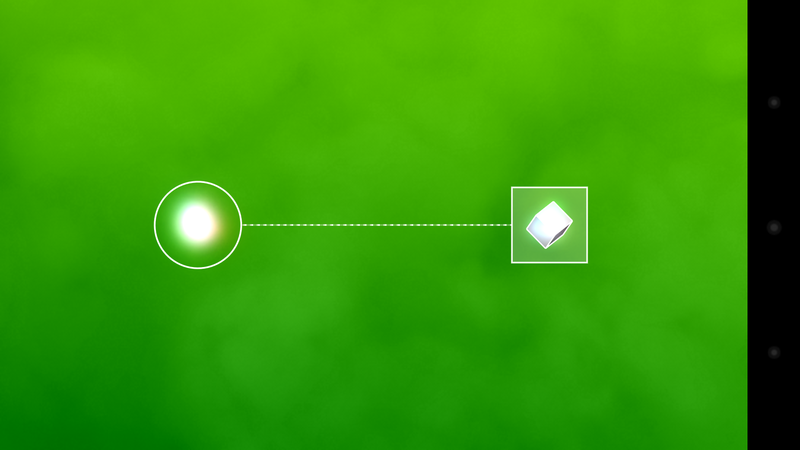 Ballz eye, even though being a puzzle game is not by first looks a puzzle game. It is a different kind of a game altogether. 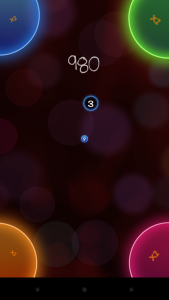 In Ballz Eye balls grow in size in the middle of the screen and you have to flick them away to targets matching their color before the counter in them expires, or else you will lose the game. 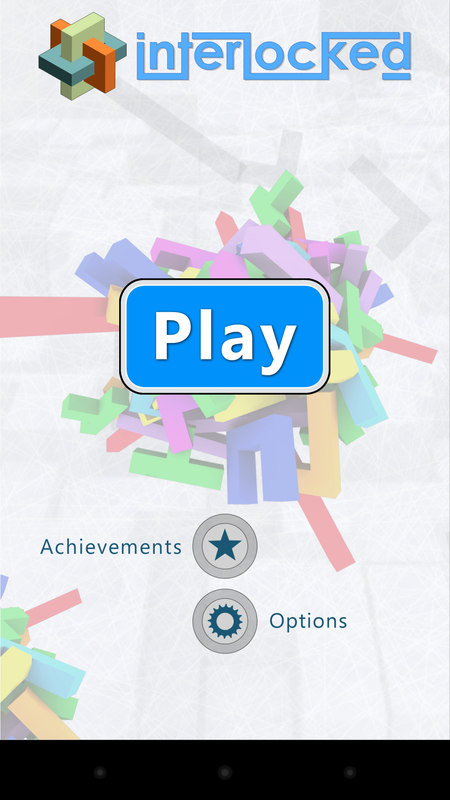 The game includes a tutorial which does its best to explain you how to play the game. I am glad that the developers included a tutorial in this unconventional game. There is a twist in this game, out of no where an anti-ball comes up, which can be flicked away into a target other than the one specified by its color. If you happen to accidentally throw it towards the wrong target, then you will lose the game. Anti-ball has popped up throwing one off the game. 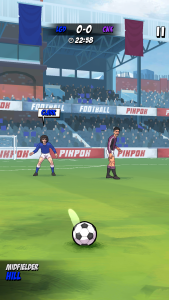 This game also has bombs which periodically pop up, but so far i have not been able to see any effect of them, maybe i am doing something wrong. 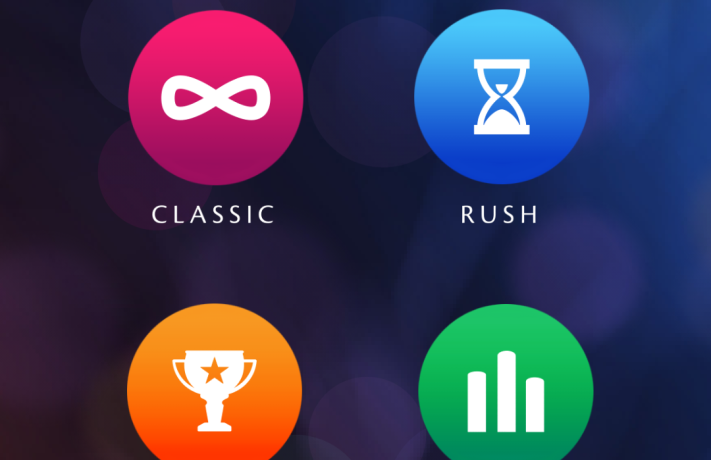 There are two game modes, Classic, and Rush. In the Classic mode is essentially a survival mode, where you play for as long as you can hold out without any time restrictions. 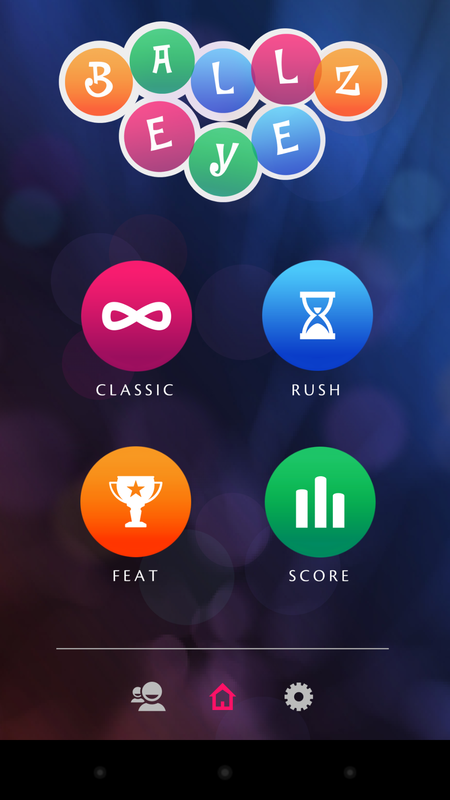 In the Rush mode you have a time limit of 1 minute, within which you have to throw as many balls as possible. I did not find any problems with the game other than that it does take quite a while to get used to. Ballz Eye is surely a game of reflexes and speed, and if you want to have a killer time while you are bored then i recommend this game. 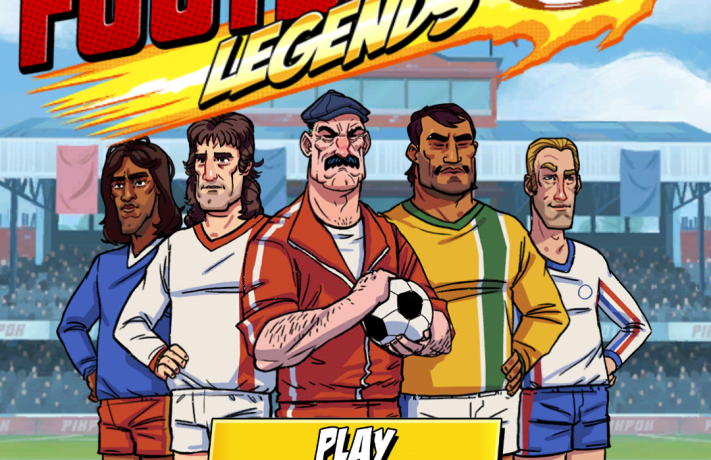 I love football and I am big supporter of Chelsea FC (Football Club), so sometimes I also want to play football games on my Android device and what better game to play then Flick Kick Football Legends. 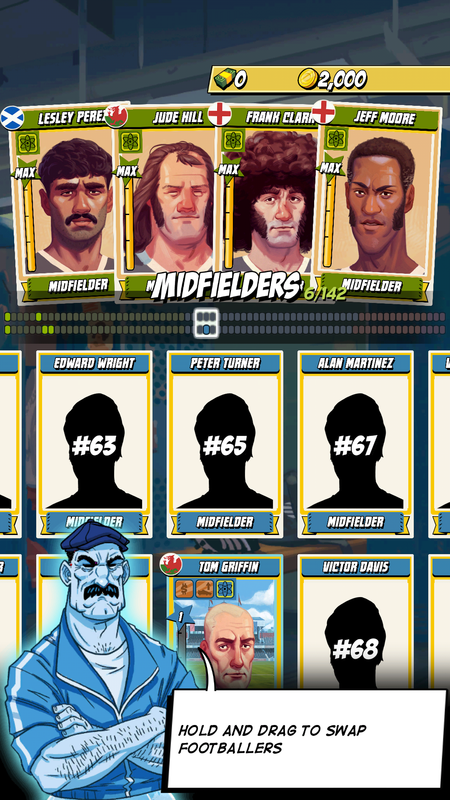 Unlike most football games this is a flick based game with very interesting story to it. 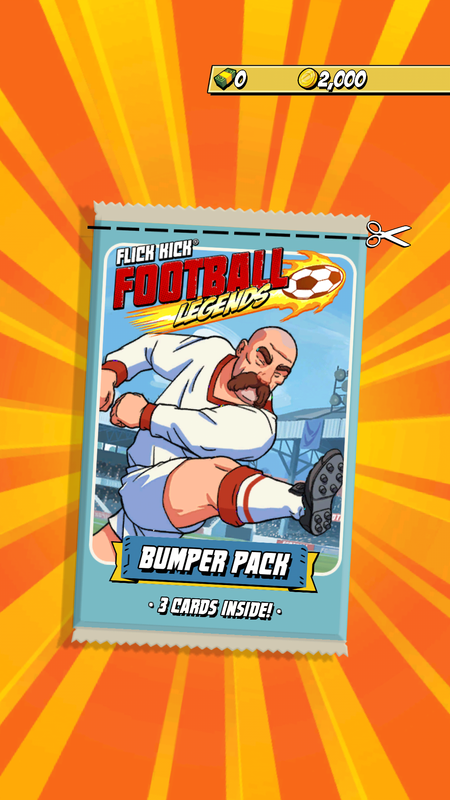 Flick Football Legends is set as a comic based game from the 70’s. 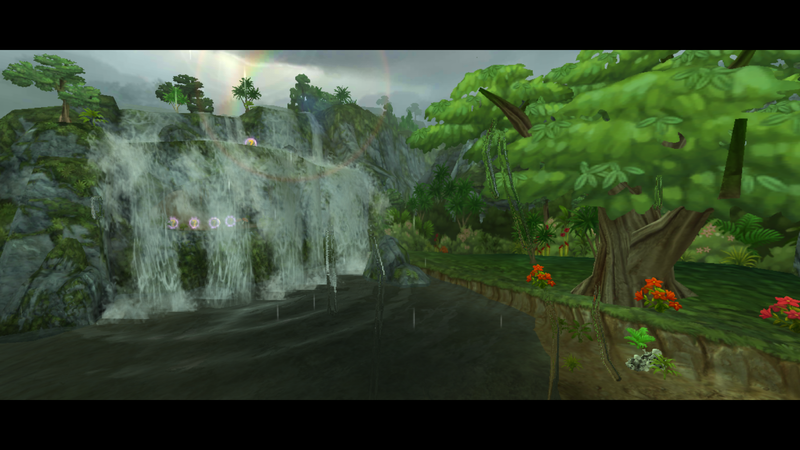 The story is slowly revealed as the player progresses through the game making the game even more engrossing. Who does not want to know the secrets of this game? I sure do!!! For a newbie this game can be very challenging at first but soon you will get the grasp of it, as you play it and furthermore you can also practice in the practice mode of the game. 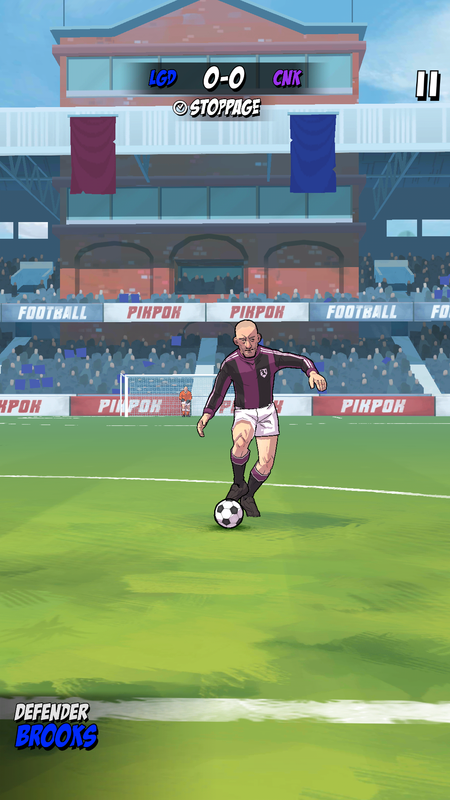 There are five main actions during a match which you can peform, i.e pass, shoot, defence, keeper and penalty. 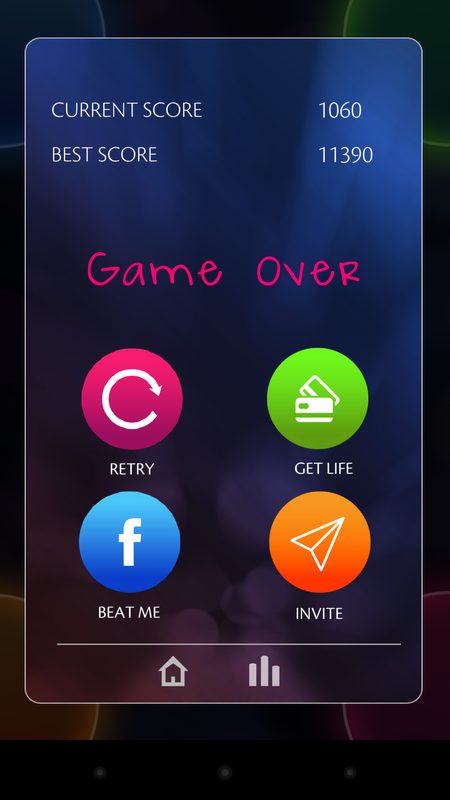 The game gets challenging and difficult to play as you progress through the levels. Once when it was easy to pass and tackle, become a nerve wrecking action. If you miss a tackle the opposing team will surely score. Who wants to loose a match which you have set up to such a position, while if you loose your concentration it will all go down the drain. 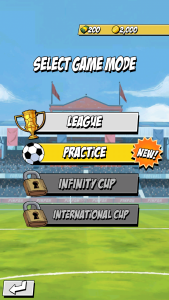 Main story of the game starts when you play league mode and you have to manage a junior team and help it win matches and rise in the league tables. 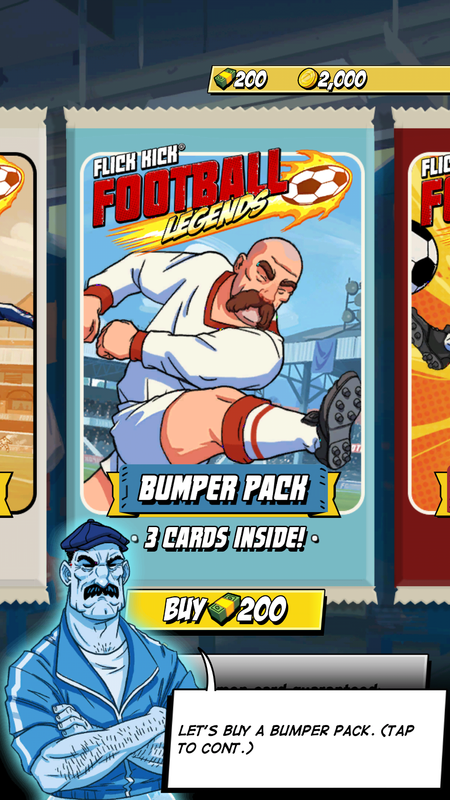 You can also purchase new players in the form of cards. 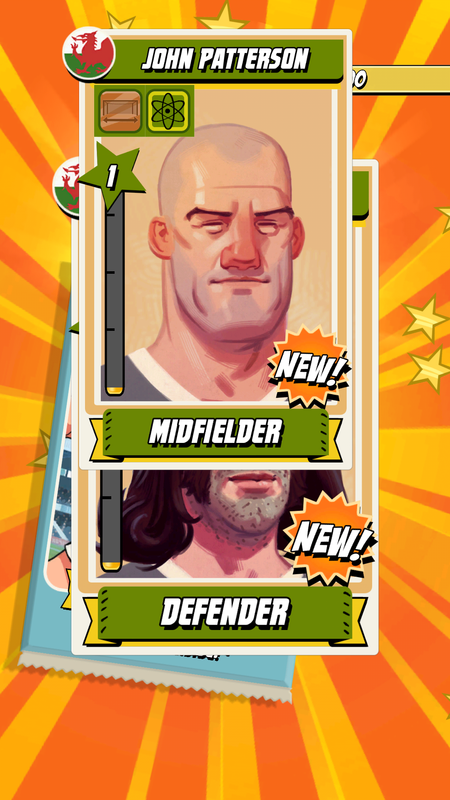 Before you start playing the team sheet shows the special power of each player and their powers can be upgraded using experience. To gain experience you have to play matches. 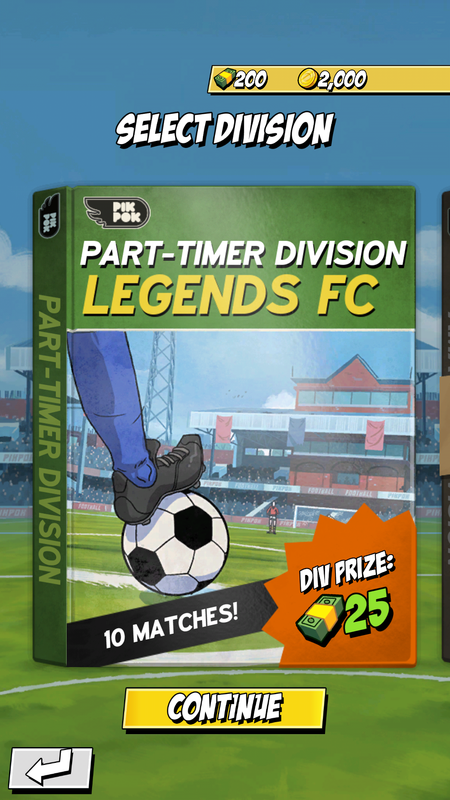 In international cup you play for England and same as in league mode you have to play divisions. There are a total of 3 divisions. 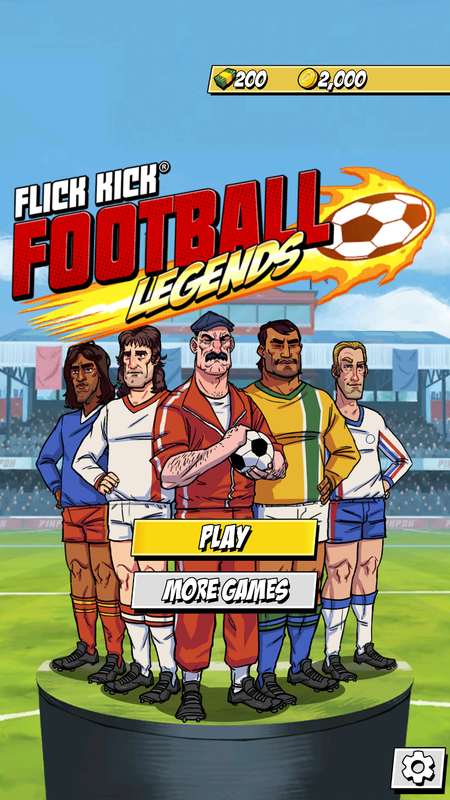 Flick Football Legends uses the strategy of making the player wait after playing the game a few times. 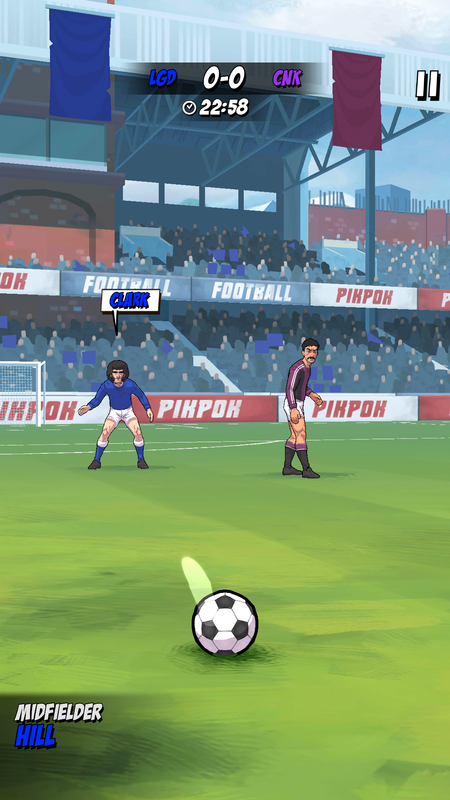 The energy resource being used in Flick Football is stamina and once consumed each stamina is generated after 30 minutes. A total of 5 matches stamina is available but it can be increased to 8 or 16 matches if you buy the stamina. 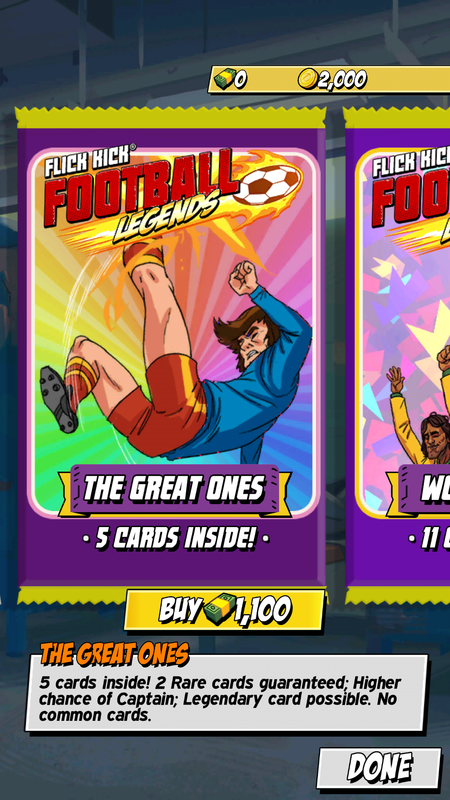 New players are unlocked in the form of cards, and you can also buy using coins or money from the store. 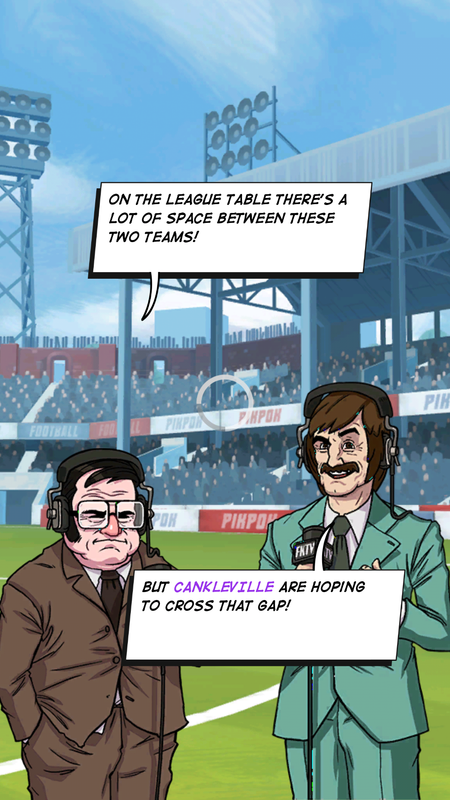 There is also pre-game, half time and post-game commentary which is funny yet interesting. 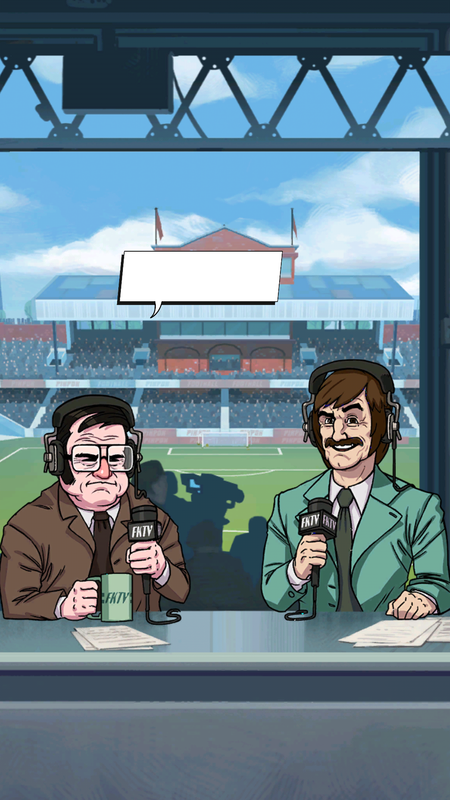 The commentators always have something witty to say. Even though this game is really great, i did find some problems which the development team should immediately resolve. 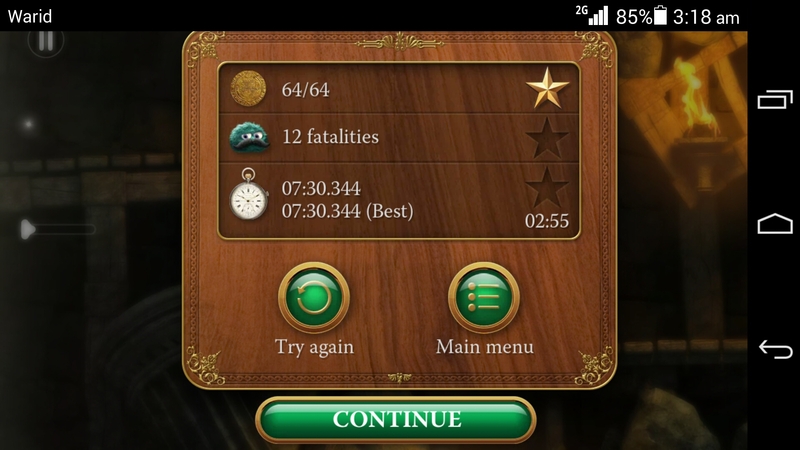 Firstly, the match duration is around only 1-2 minutes and it cannot be changed. Secondly, the stamina refill time is too long, of 30 minutes. The game employs the rule of giving rest to the player, but it should not be too much such that the rush of playing the game washes away. Either the player has to wait for the stipulated time, or has to spend money to buy more stamina. I believe the time out time should be reasonable such as 5 minutes per each stamina level, anything more than that will be a buzz kill for the player. 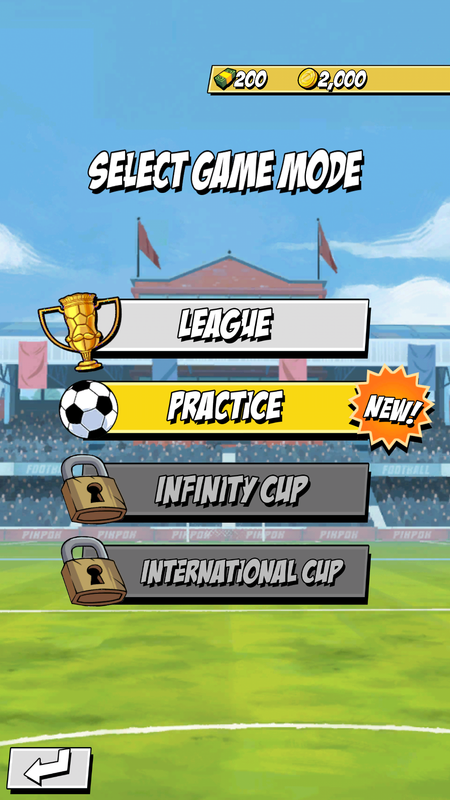 Thirdly, if you perform poorly in the league you can not restart the league and have to complete it. 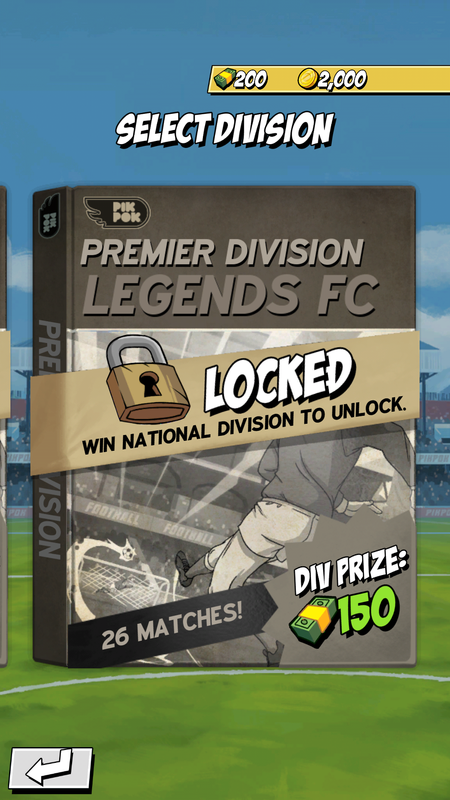 I myself was frustrated when i had to play through a league only have to play it again, because i failed to win it. 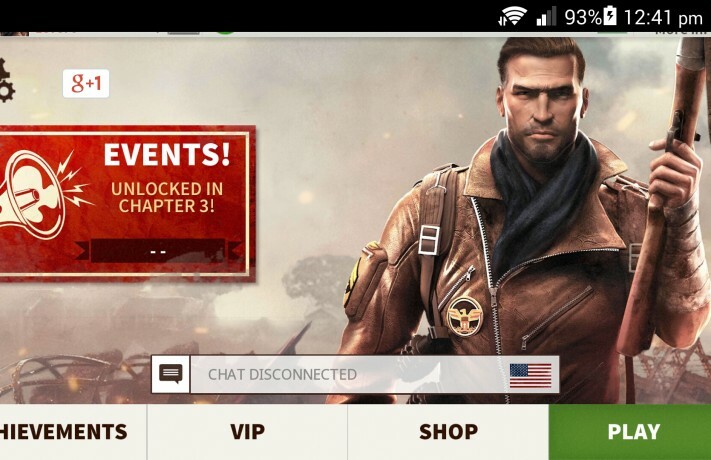 This particular feature can be putting off to casual games, who may just stop playing the game all together due to this. 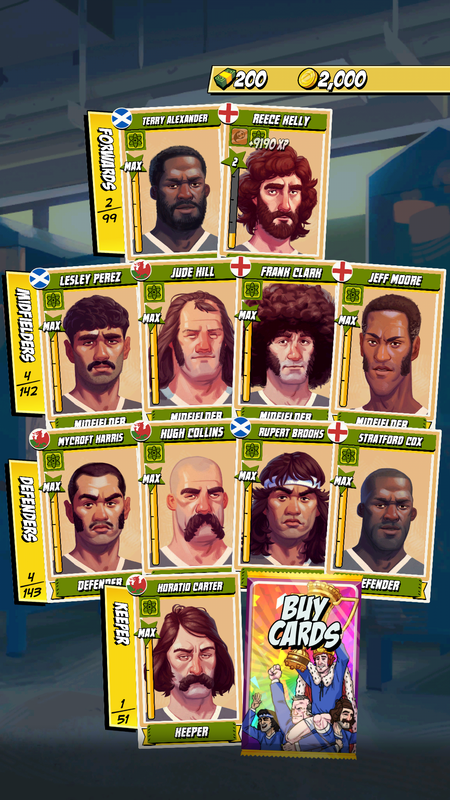 I recommend this game, as it is addictive, and a great time killer, and for footbal fans like me it is a heaven sent. This one game will always be part of my games collection on my phone. I used to play strategy games in my computer all those years ago. Then came the mobile age and have been looking for a good strategy game which would be at par with those game of another era. 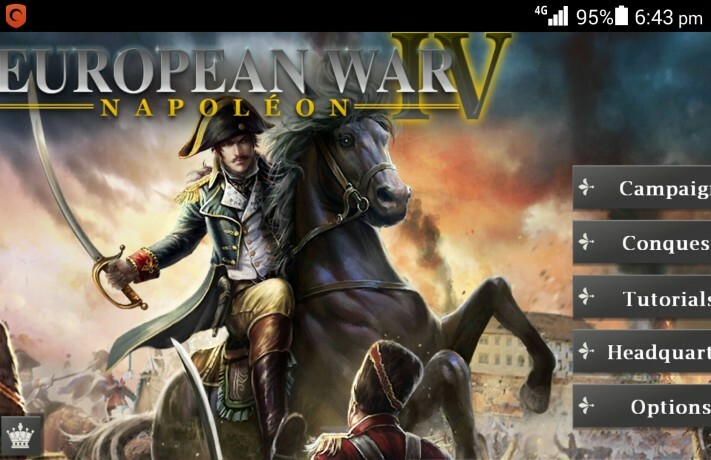 Going through the Google Play Store did not disappoint me, as i found a game by the name of European War 4: Napoleon, a turn by turn based strategy warfare game. Along with this game, i have found many other war based strategy games, which i think is a really good for the fans of strategy games. European War 4: Napolean is a turn by turn war based strategy game. 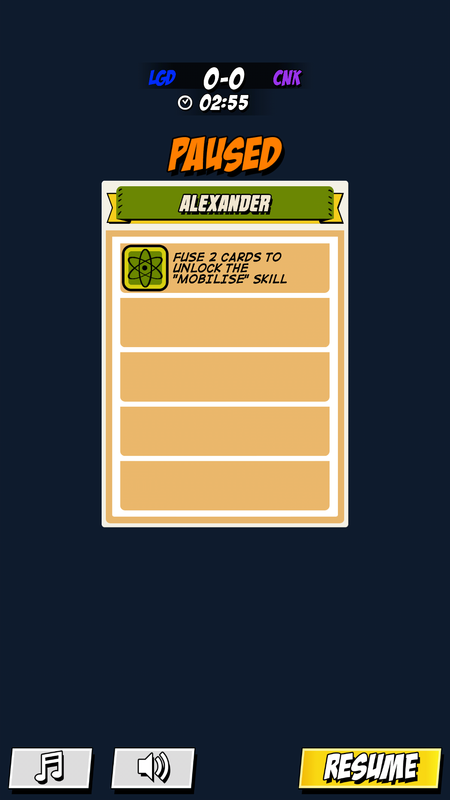 Unlike the real time strategy games, in turn by turn games each player takes turns to make his moves making sure that he get the most benefit from the moves. 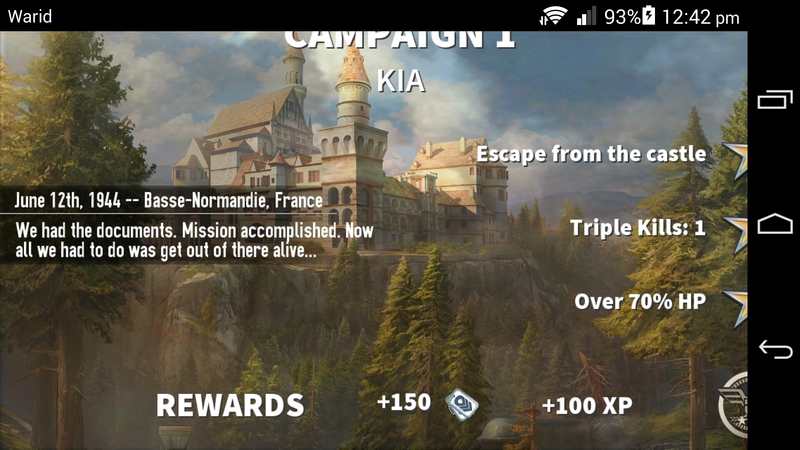 This game is set in the Napolean era. 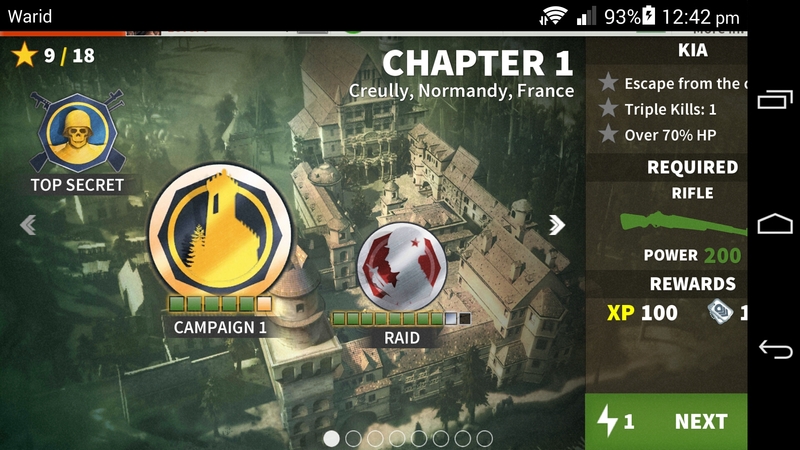 In the first two campaigns you can play as either France or the alliance which was fighting against France at that time. There are other locked campaigns which are situation in different locations in the world. During turns you are to manage the economy as well the military of your country. 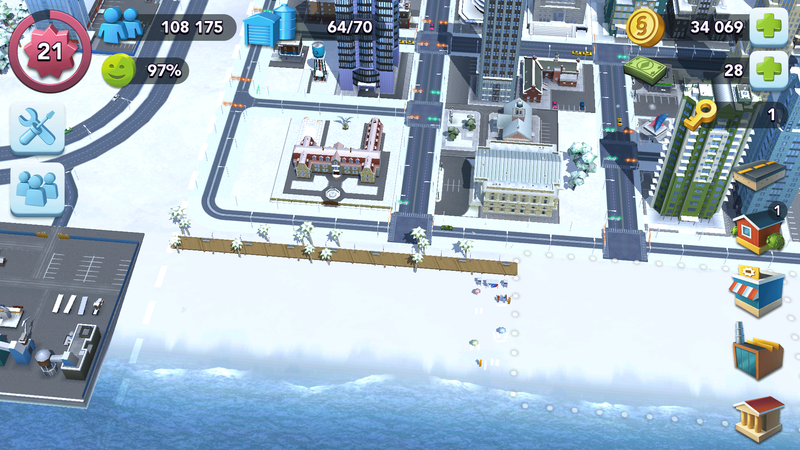 You will be building towns, stables, sea ports, armories, and much more. You will also be collecting resources to keep your economy going so that you can build an army so that you can fight against your enemies. You can also make alliances, though i have not found out how to do so, but when i attacked one of my supposedly allies (i did not know that the country was my ally, i was told that the alliance will be over if i continued to attack, which it did). After you take your turn you have to end your turn so that the opponent can take his turn. In turn based games you have to plan and strategise before hand because the game does not happen in real time, and you only find out what your opponent will do after you have made your moves. If you have liked what you have read so far, why do you not subscribe to our weekly updates? We hate spam and will not send any to you. As the name conquest suggests you have to defeat all of your enemies and conquer over the war scenario. Think of this as the skirmish battles/wars that we used to play in real time strategy games. There are no defined objectives in the conquest mode except for defeat all and conquer as much as you can. 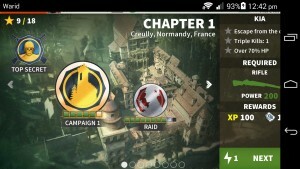 In the campaign mode you have to complete the missions within a set number of turns, while in the conquest mode the game can go on for hours. This can get tiring but you can save the game and then continue when you freshen up your self. The game has been made well. The art, animation and the music have been well designed and implemented, with proper sequencing. I have not yet found any bug in the game. I highly recommend this game to all fans of war based strategy games. This game has surely rekindled my old love of strategy games. Did you like this post? Why don’t you not subscribe to our newsletter to get weekly updates? We hate spam and will not send any to you. 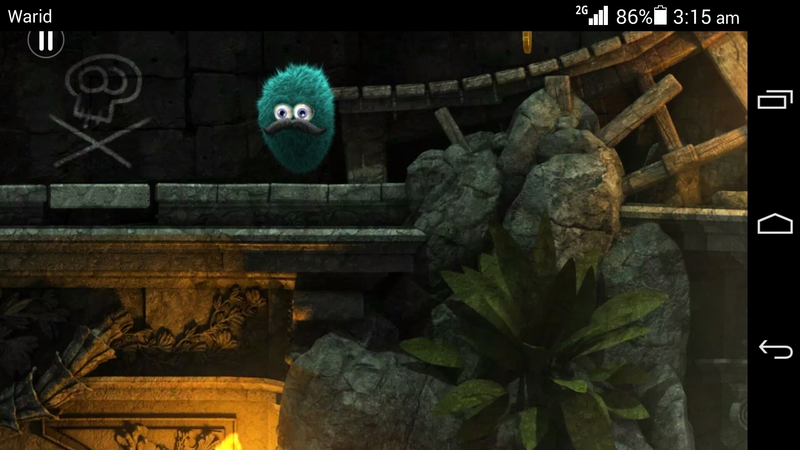 Leo’s fortune is an adventure game in which you are a cute fur of ball who has gotten his fortune stolen and are now on an adventure to retrieve it. You as Leo have suspicions that your relatives are the ones who have robbed you of your wealth. 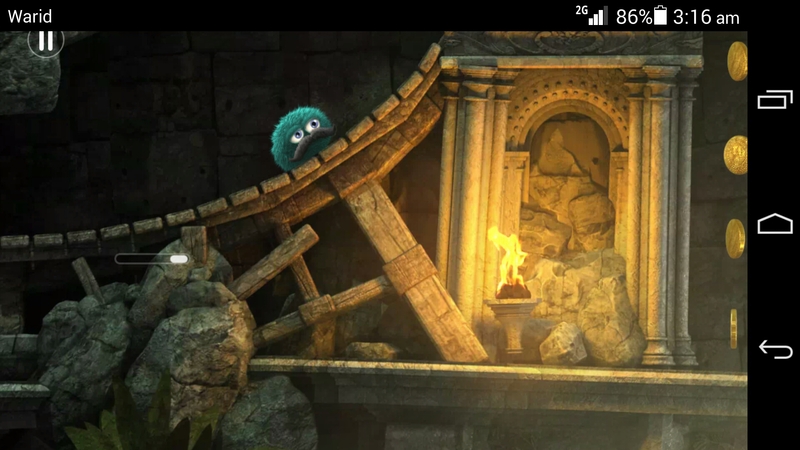 This game is a paid game and it costs for 2.49 euros(at the time of writing this review) from Google Play Store and there are no in app purchases which you can make, which means you only have to pay once to play the complete game. 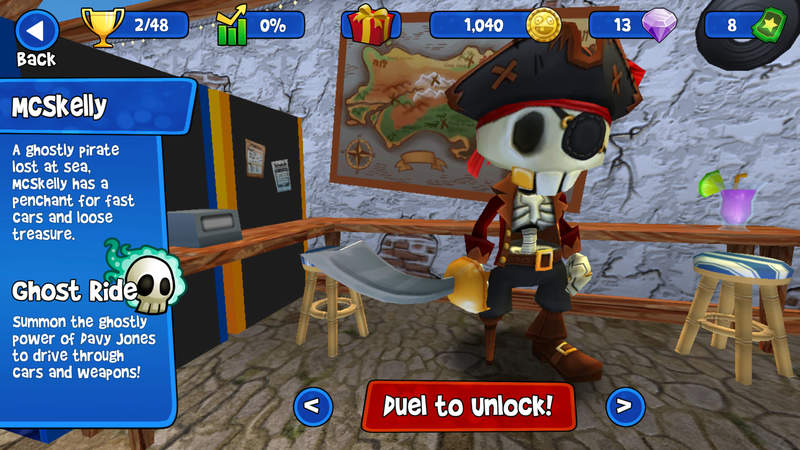 You travel through different lands collecting your wealth one coin at a time. 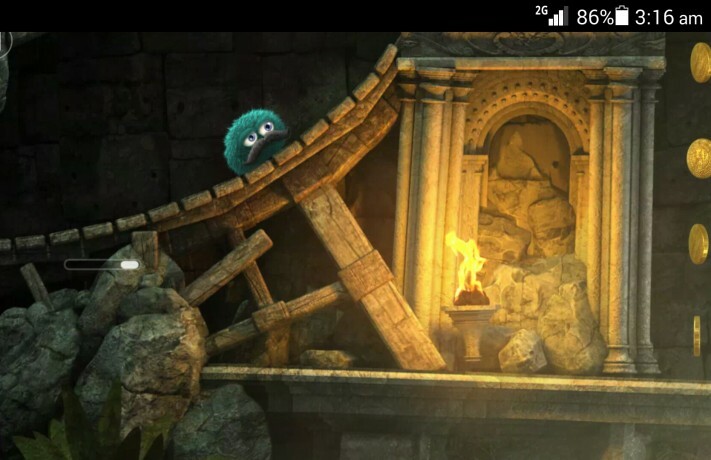 You also have to overcome obstacles and solve which make the game that much more difficult. The game is quite difficult to play as the controls are a bit unorthodox. In the touch technique as you have to slide your left thumb of finger what ever you prefer left and right to move Leo. With your right thumb or finger or what ever you prefer slide them up to blow up Leo with air and float in the air while sliding down will I’ve Leo down. These controls take some time to getting used to, but once you become used to them they become easy to use. 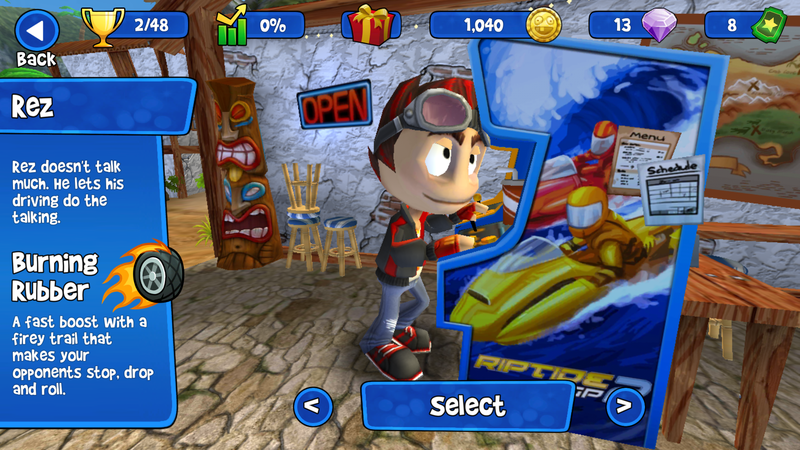 The game also provides with buttons, but I prefer the sliding controls. 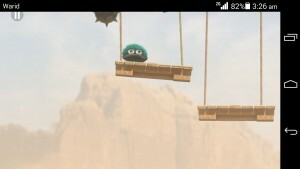 The obstacles in the game are quite challenging and took me quite a number of tries to get past. 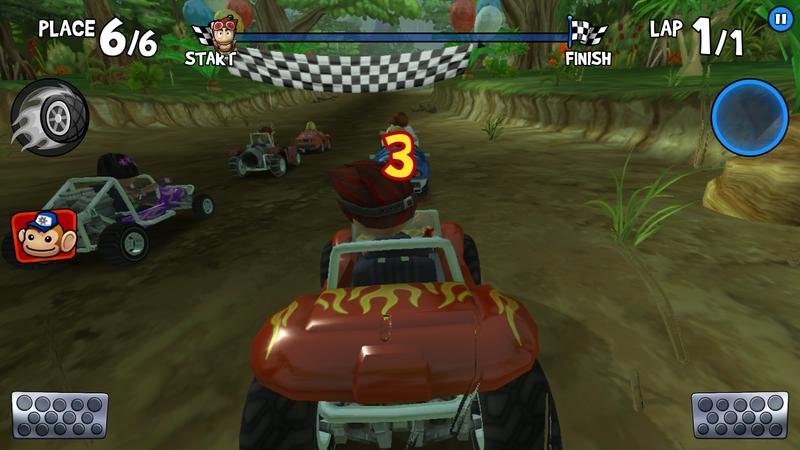 As the game progresses the difficulty level increases typical of any game. 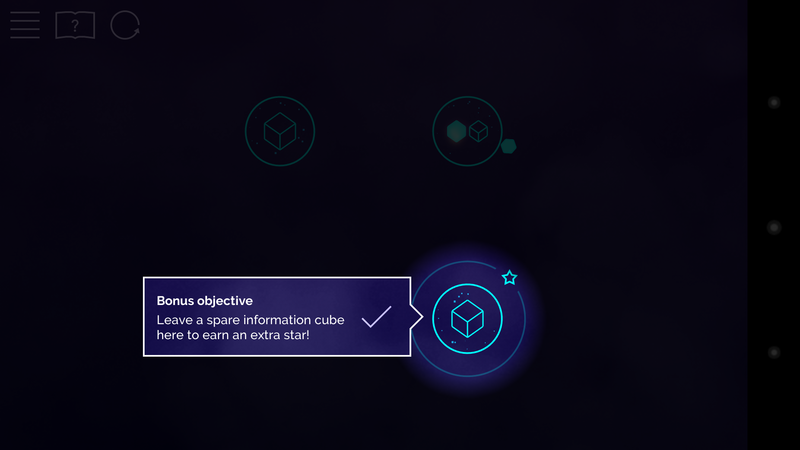 The objectives of the game are also quite difficult. 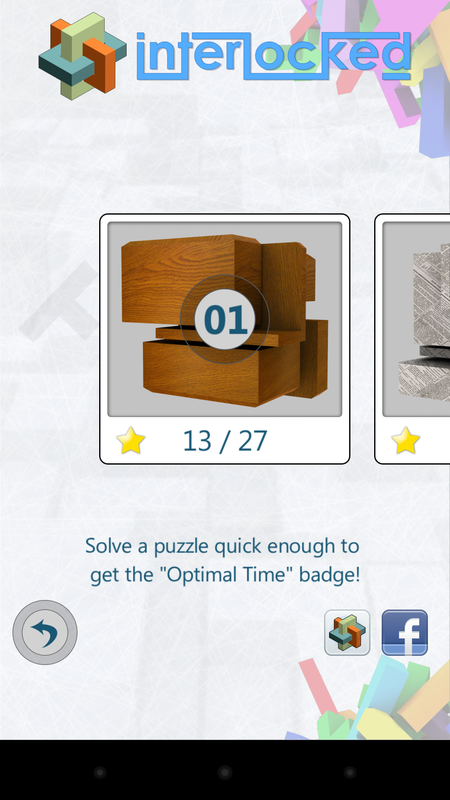 You win a star if you complete the level within 3 minutes and 30 seconds. 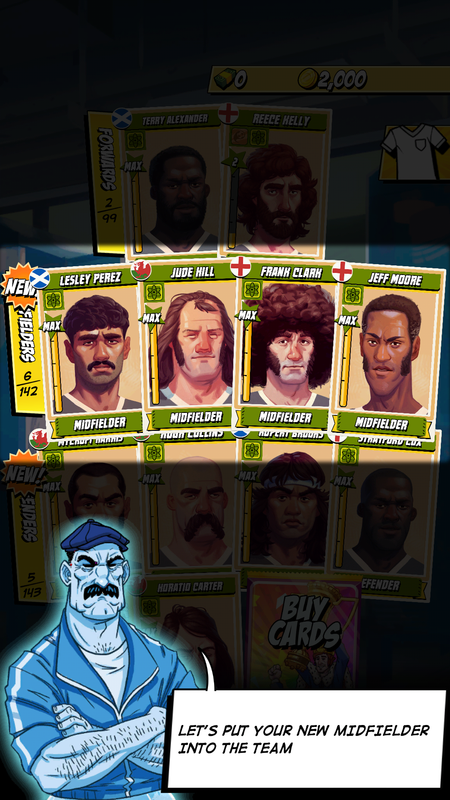 The art of the game has been professionally made and looks quite realistic. The development company mentions that the levels have been hand crafted, and yes they are beautiful. 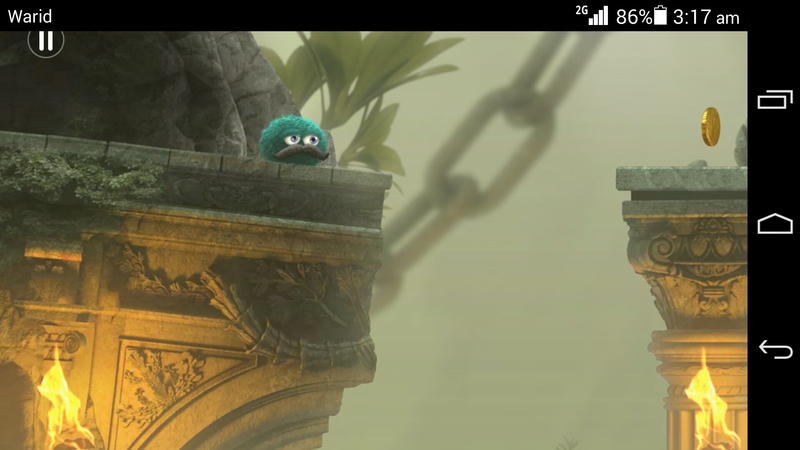 The environment suits to the game and so does the audio music and sound effects. They have been well made as well. 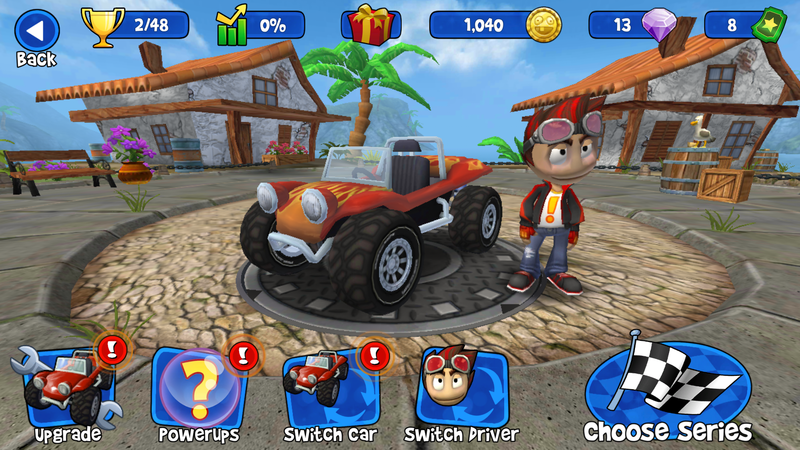 The controls are smooth and responsive which further help the game play. Once you get used to the controls the controls become second nature. 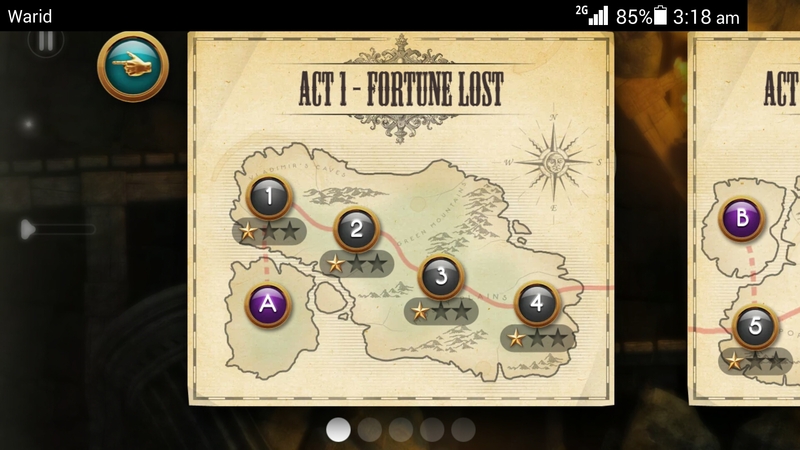 The story of the game is also interesting and once wants to continue playing the game to find out what happened. Another good thing that I like is that there are checkpoints in the game from where you can continue to play the game of you die. However I would have likes if I could save the game where I left it. If I quit a level all progress in that level is lost. 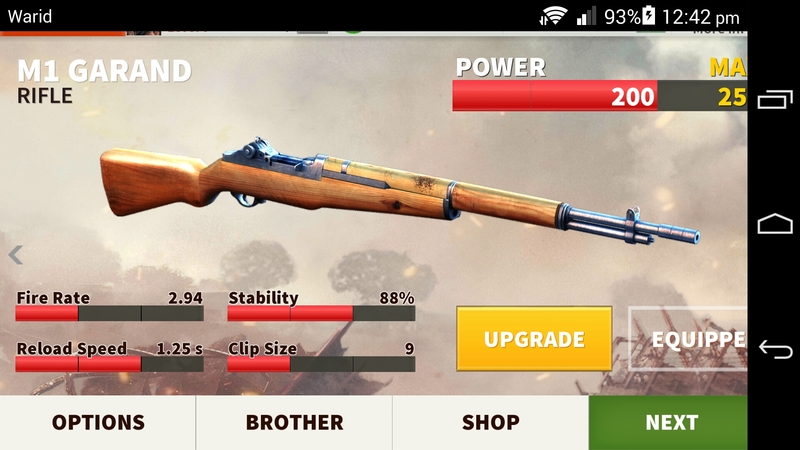 I have no choice of either completing the level or minimizing the game which may eat up your battery. It would have been better if the developers would have added a save feature. There are obstacles where it took me quite a long time to overcome and then comes another obstacle which I am not able to overcome and want to take a break as I it becomes exhausting eventually. Other than this the game is pretty good and I recommend it. 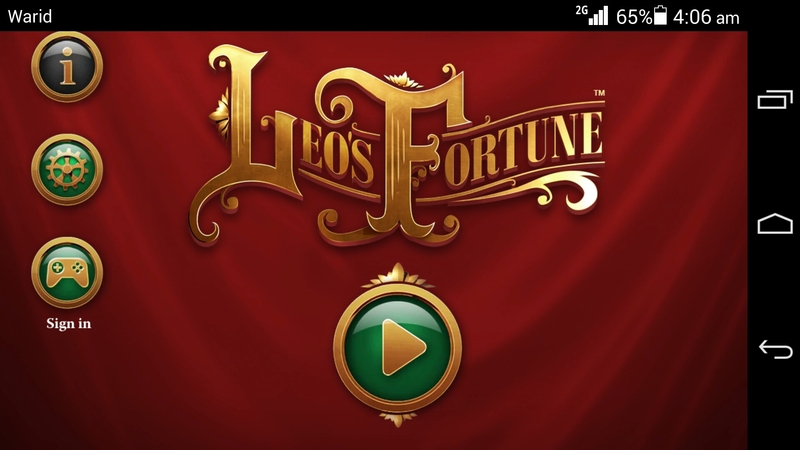 If you are willing to pay some money to buy the game, and want to have a great gaming experience then the should check out Leo’s fortune for android. Adventure and travelling are any travel junky’s passion and life. Remote exotic locations and no understanding of the local language can not keep a travel junky away from the adventure of a lifetime. Technology has become part of life and one depends on it to accomplish daily tasks. 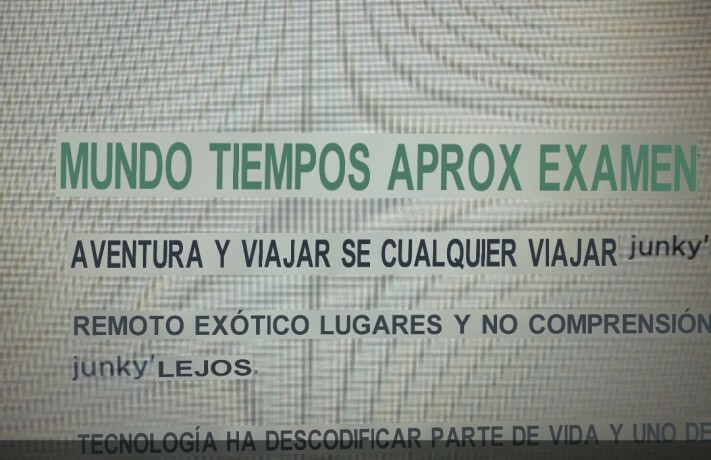 To make life easier for a travel junky a company has developed a translation app which uses the principles of computer vision and image processing to translate text which is brought into the camera view of the device. 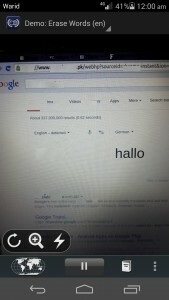 World Lens Language Translator translates the words and replaces the translated words and places them right on the screen. 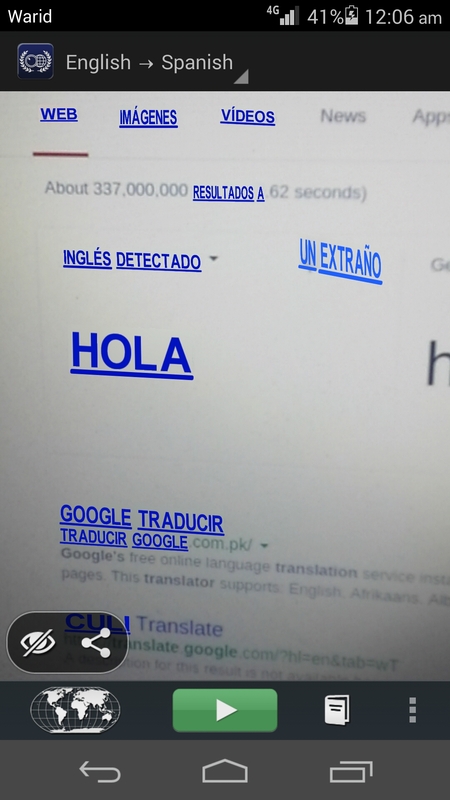 This is quite interesting as the user just has to select the language and hold up the phone towards the target text which he wants to translate. 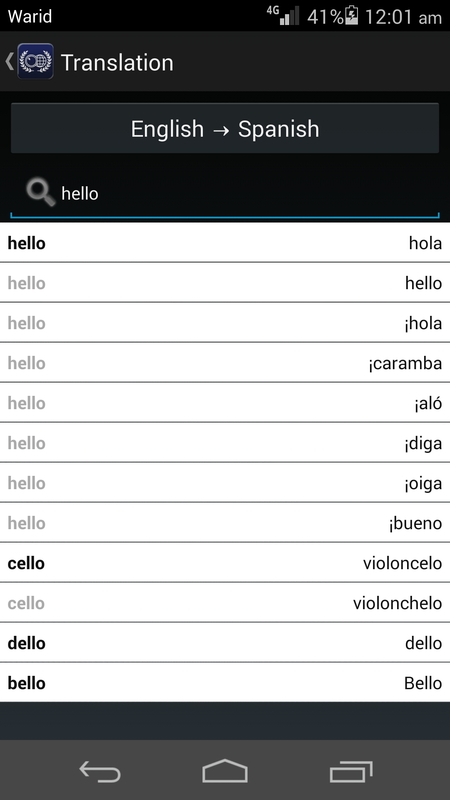 World Lens provides a selection of built in language translations which you can use. There are two other features which i feel are bells and whistles and do not provide any useful use to the user. The reverse the words feature displays the target text it in a reverse order. 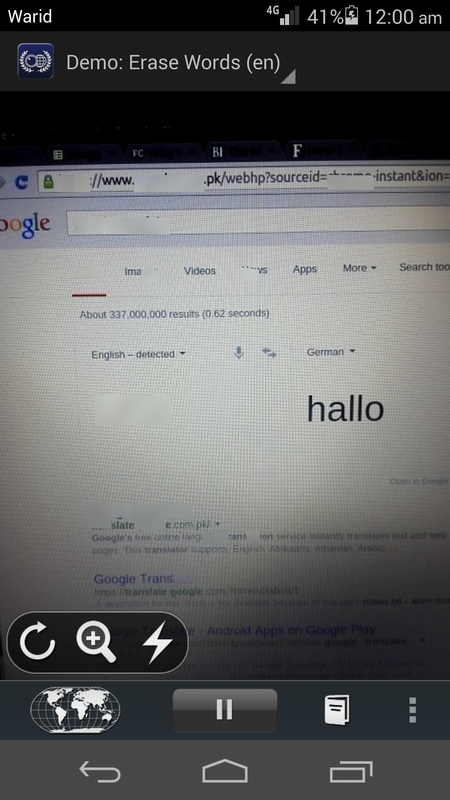 World Lens also provides a reverse words feature where you can reverse the words of the text. The erase the words feature erases the text by displaying the color of the background on the screen where the text was originally. 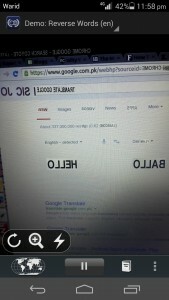 World Lens also can remove text from the screen. World Lens is quite easy to use. 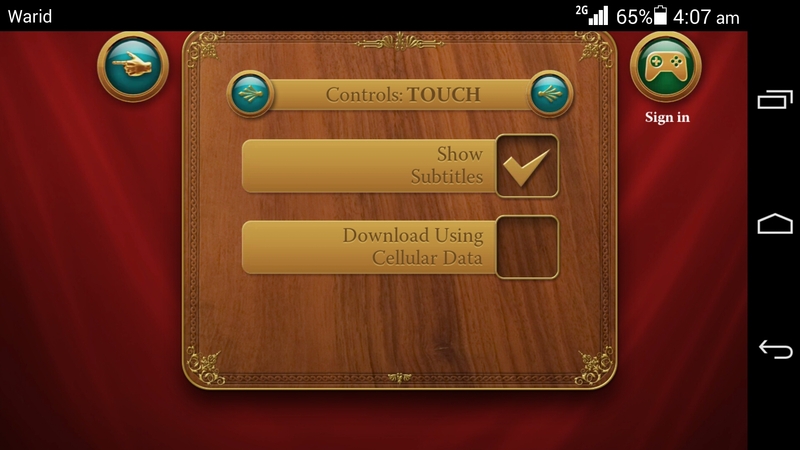 Select the language to translate from the menu at the top of the screen and all you have to do is to point the camera towards the text to the text that you want to translate. 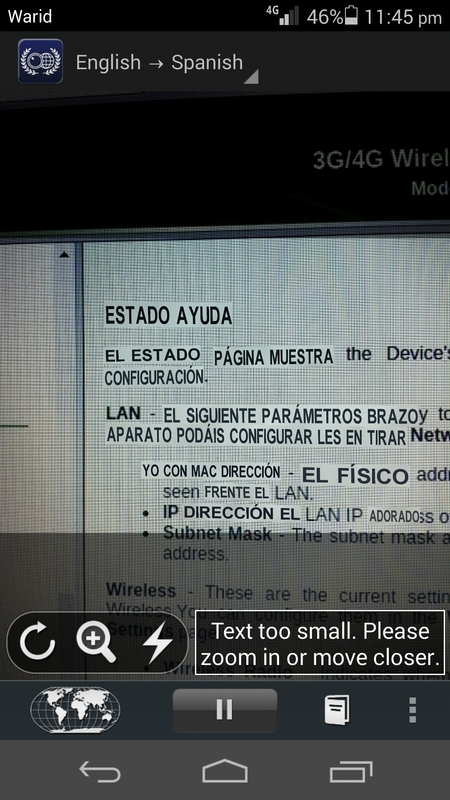 As mentioned earlier the translated text is displayed over the text and shown on the screen of the device. I really like this as i do not need to change screens to get the translation. Due to this the app becomes really easy to use, however you do have to keep the camera still or the translation won’t work properly. The app is really useful as it translates in real time. Suppose you are travelling and find a road side board in the local language (the app must support the language) and you hold up the device to the road side board you will be able to see what the board says. You can also translate text by typing in the word by pressing the book button at the bottom of the screen and typing in the word manually. A list of translations will be shown as a result. You can also type in the text which you want translated. 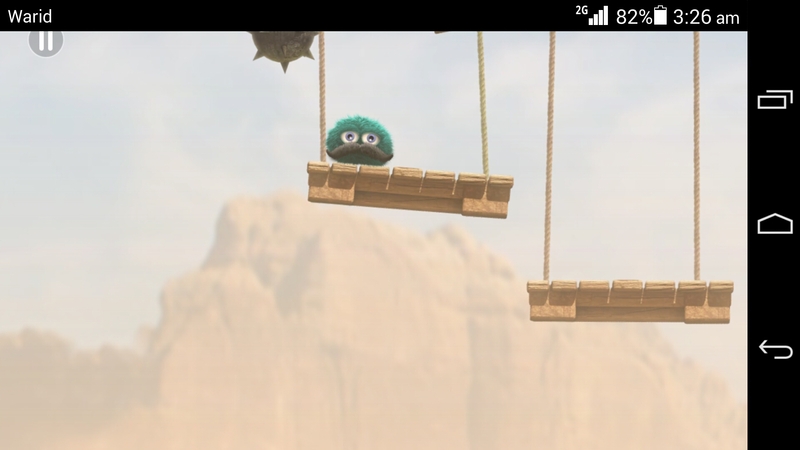 You can also freeze the frame by pressing the pause button at the bottom of the screen. 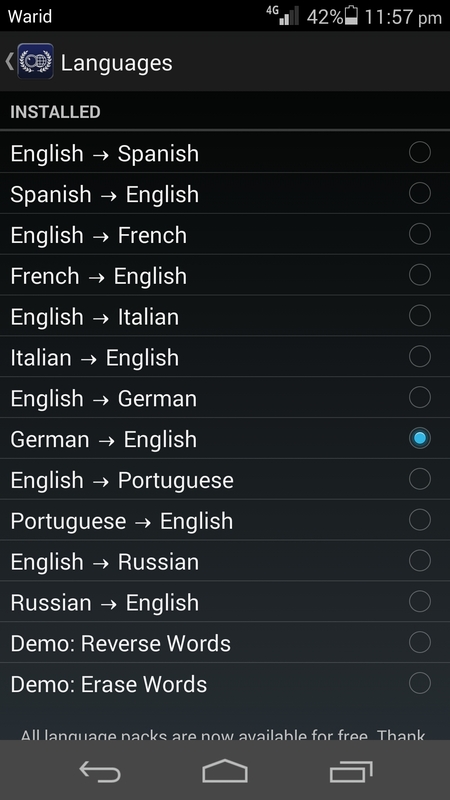 When the translation has been done you can translate that text to another language using the language settings. Furthermore the translation is all offline, which means you do not need an internet connection to translate. 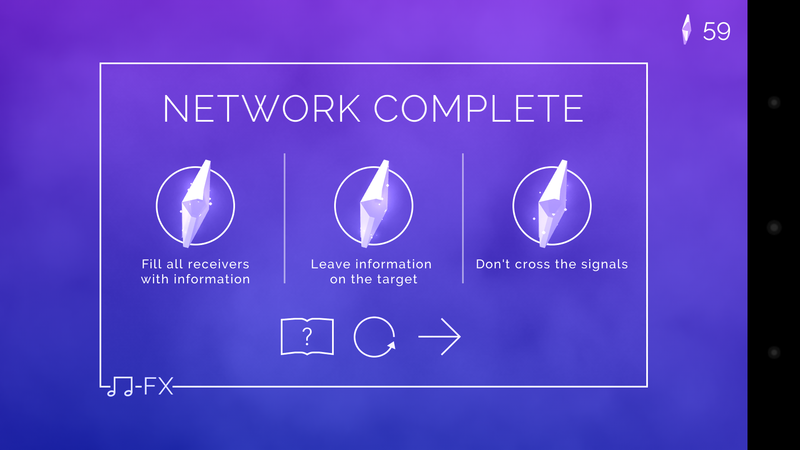 This feature makes the app quite useful as this app will most probably be used in locations where there will be little or no internet connection. World Lens allows you to freeze the frame for easier reading. The quality of the app is quite good, but it does have some problems. Firstly, the number of languages supported is quite low. It would have been better if more languages would have been supported. Secondly, you have to keep the phone still while translating the text which can get a bit difficult, but you can use the freeze frame feature as explained above. 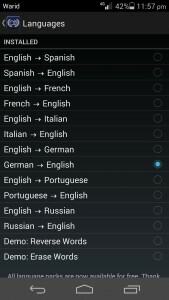 World Lens offers a limited selection of languages to choose from, but if the travel junky is travelling to a country whose language is supported then this app can be quite useful, but for other countries it won’t be of much use. 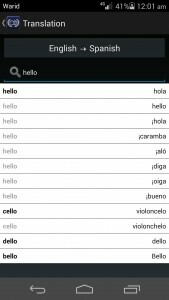 World Lens translating Spanish text to English. 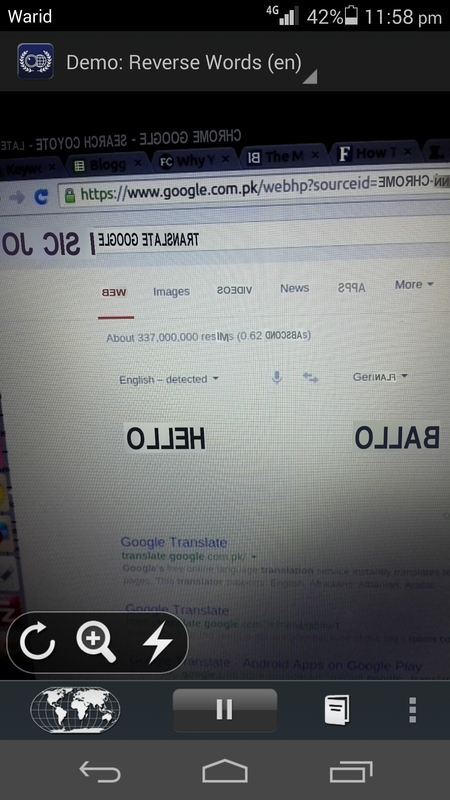 The text on the right was the Spanish word for hello, which has been translated to the English word hello. 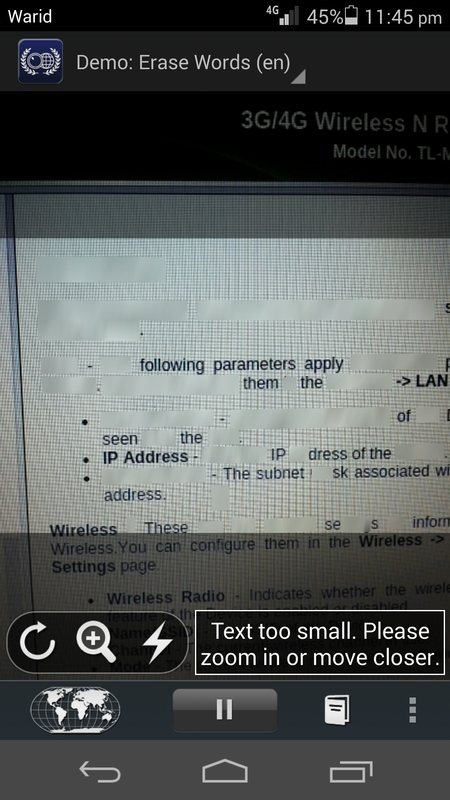 The app even removes the text which it can find, and replaces the text with the color of the page. 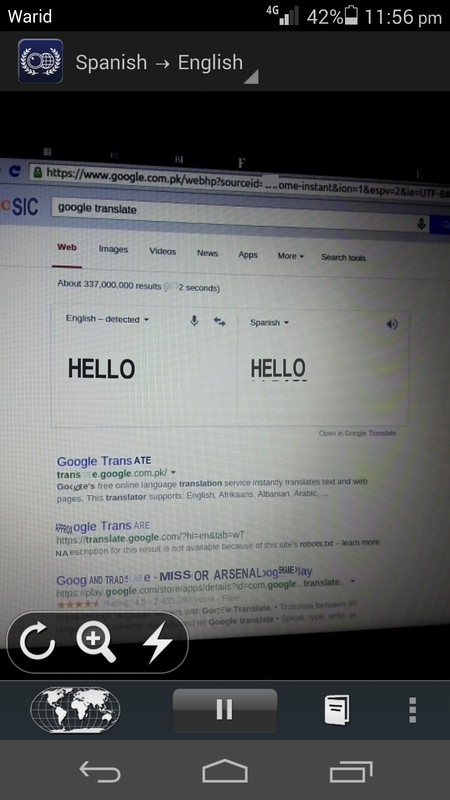 The app replaces the text with the translation right on your device's screen.